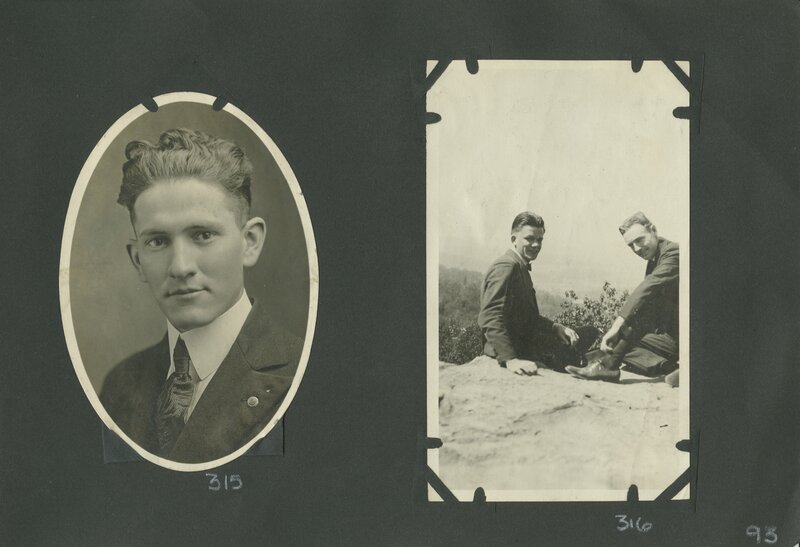 The W. Hugh. 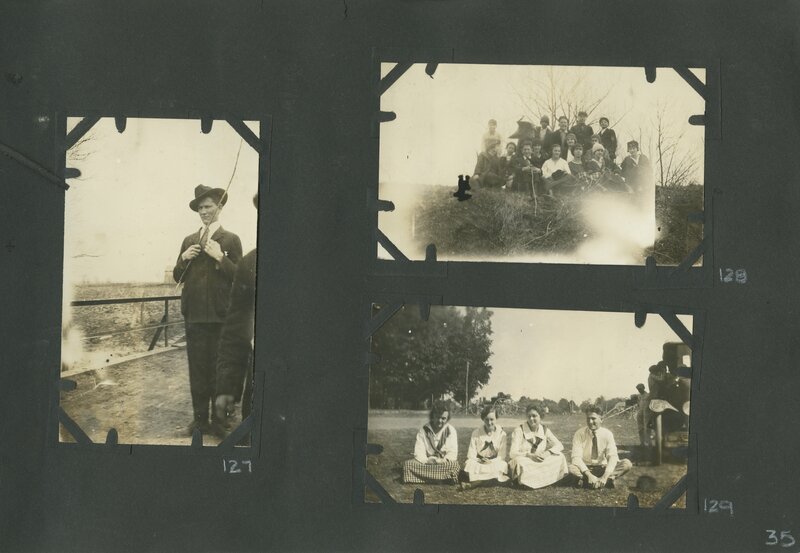 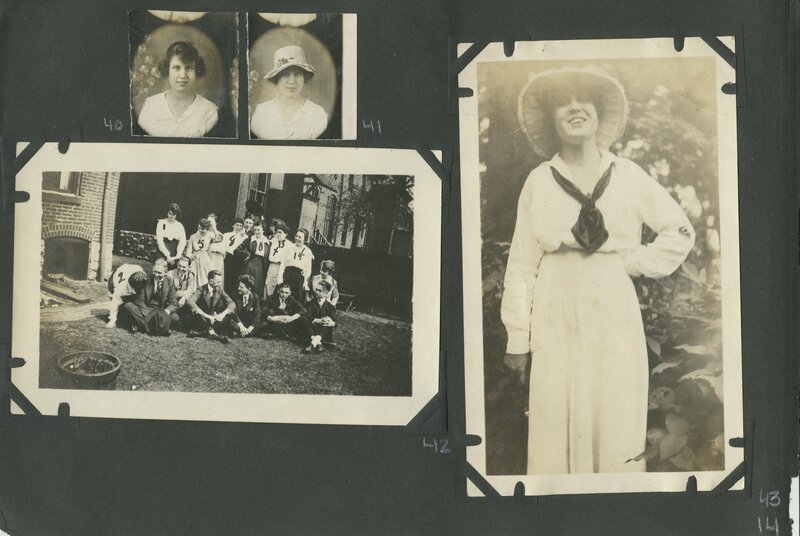 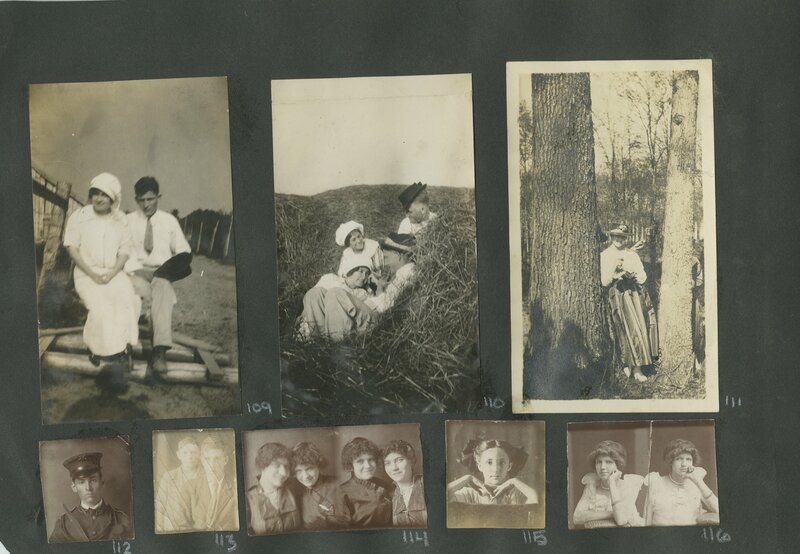 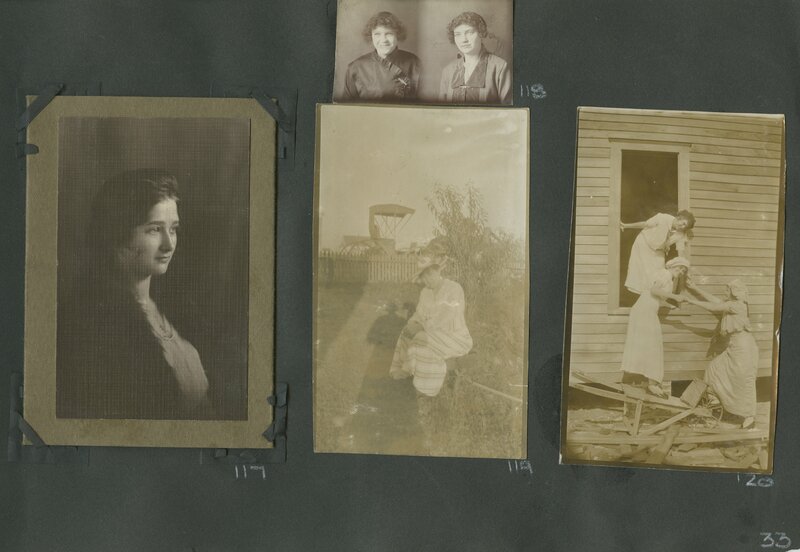 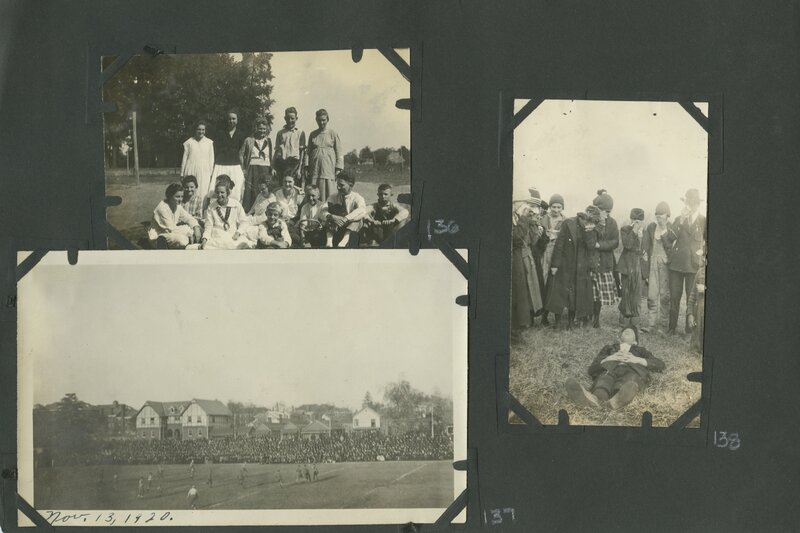 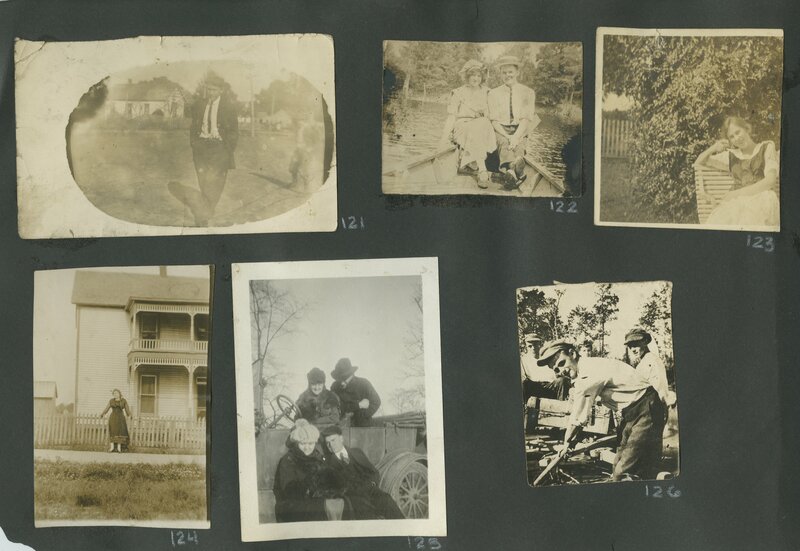 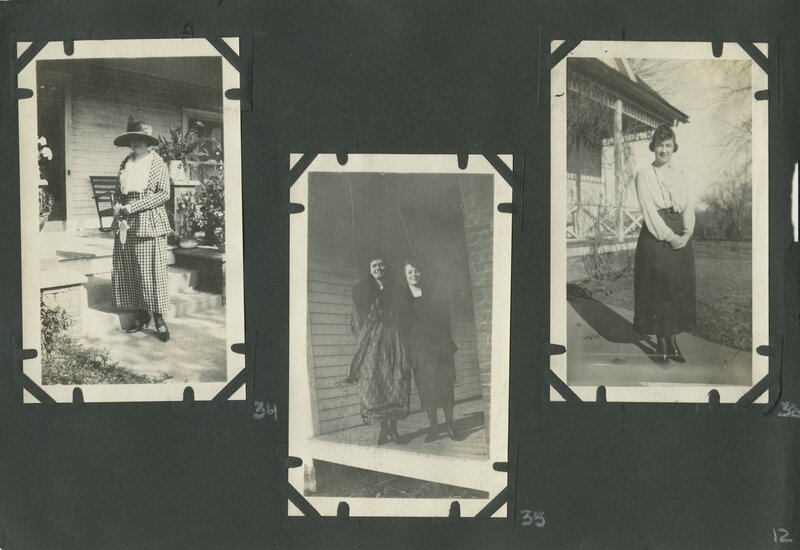 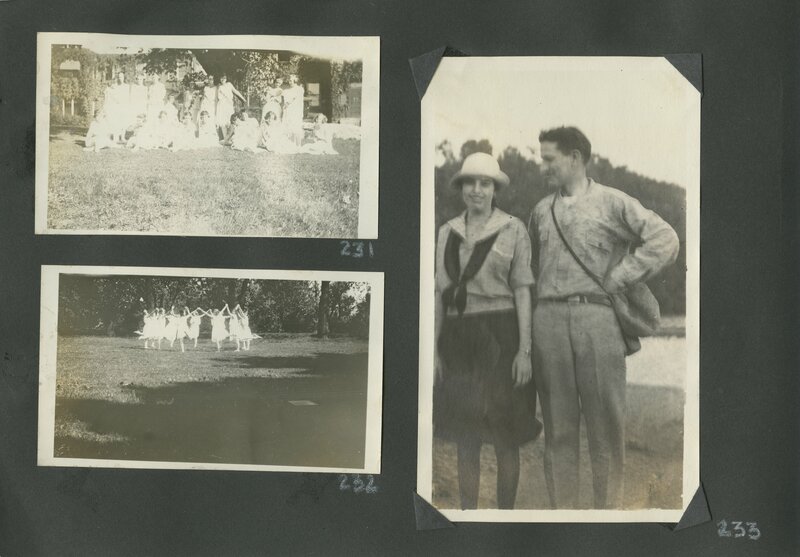 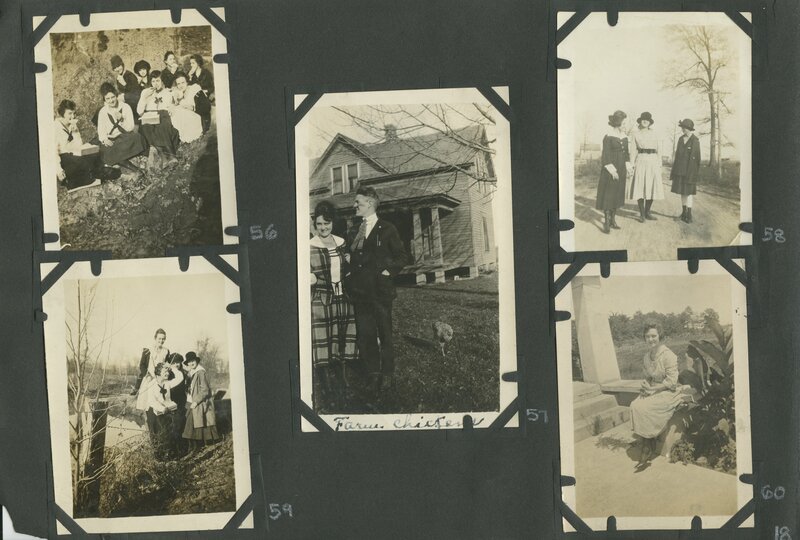 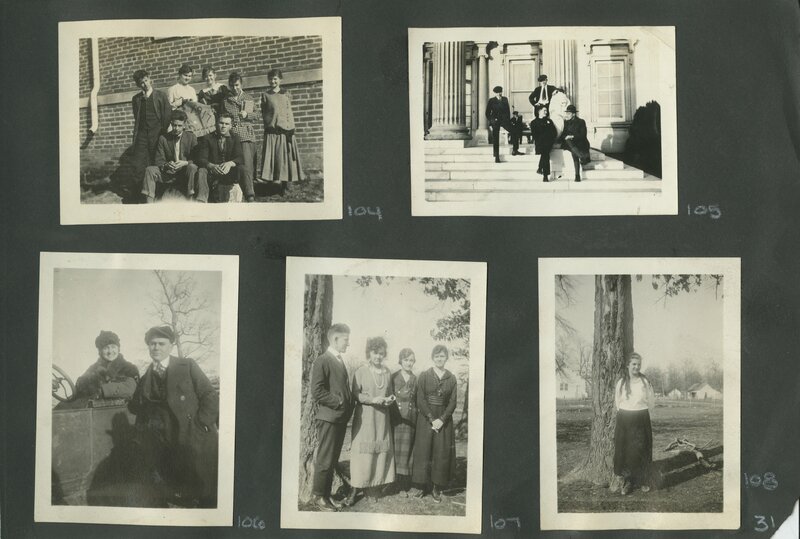 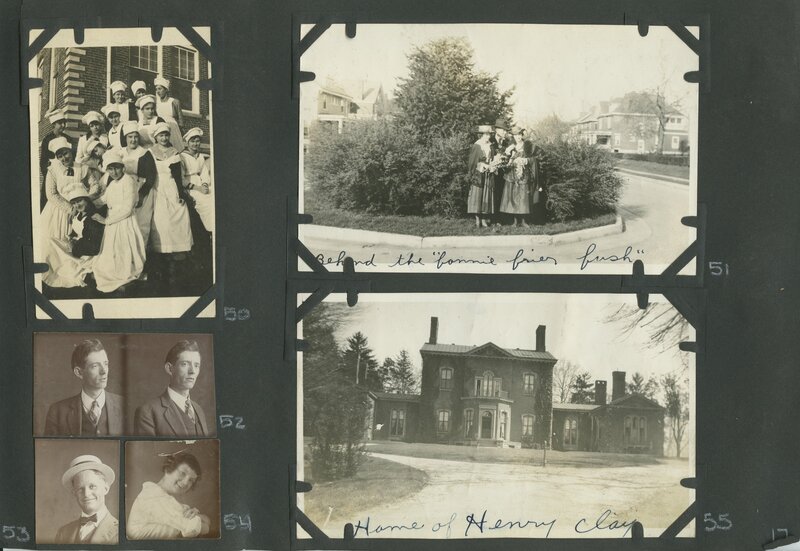 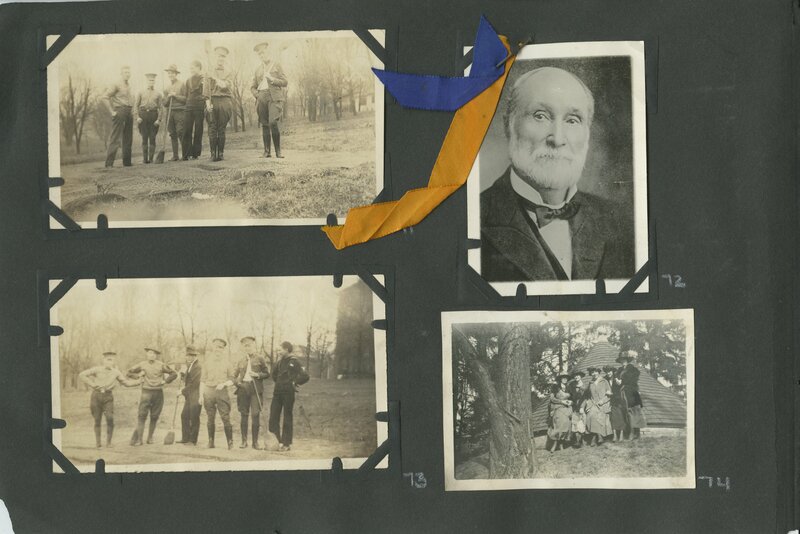 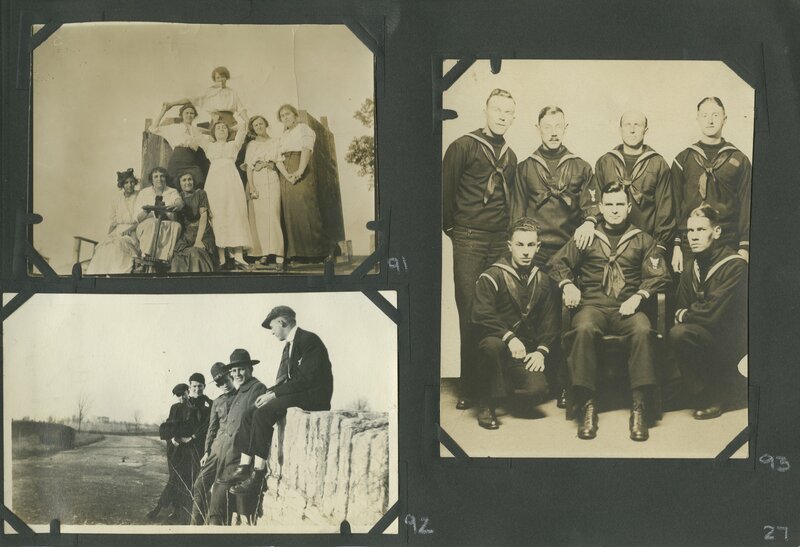 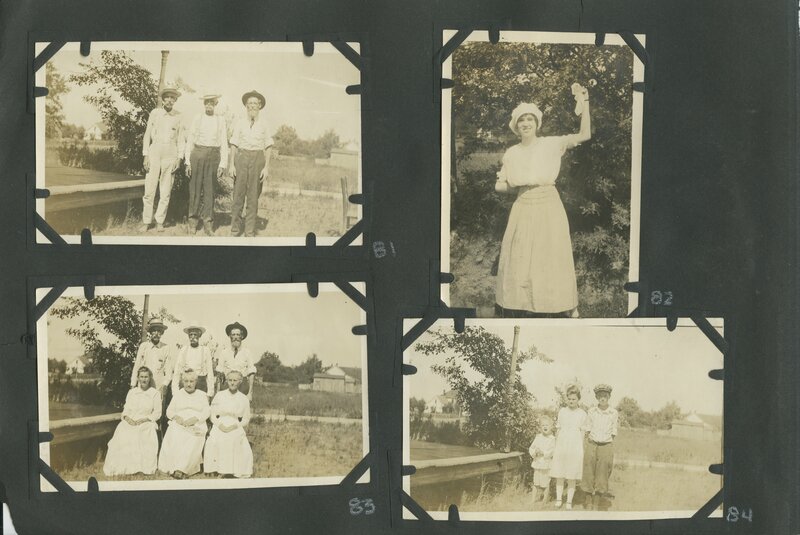 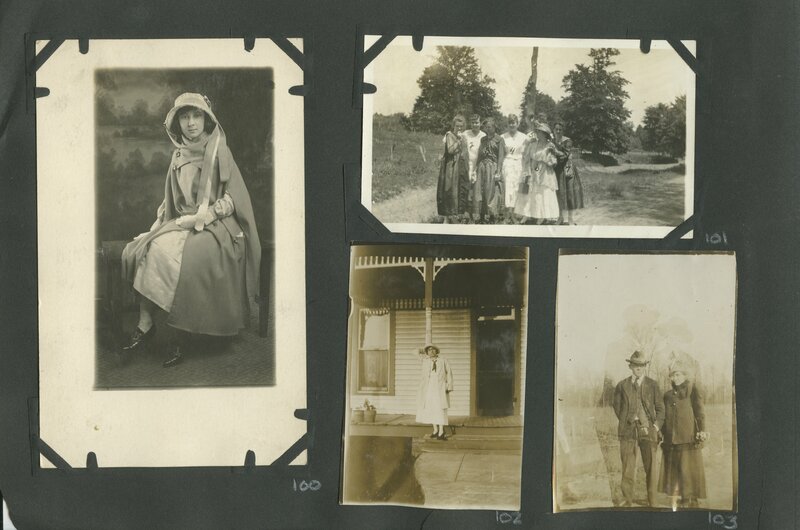 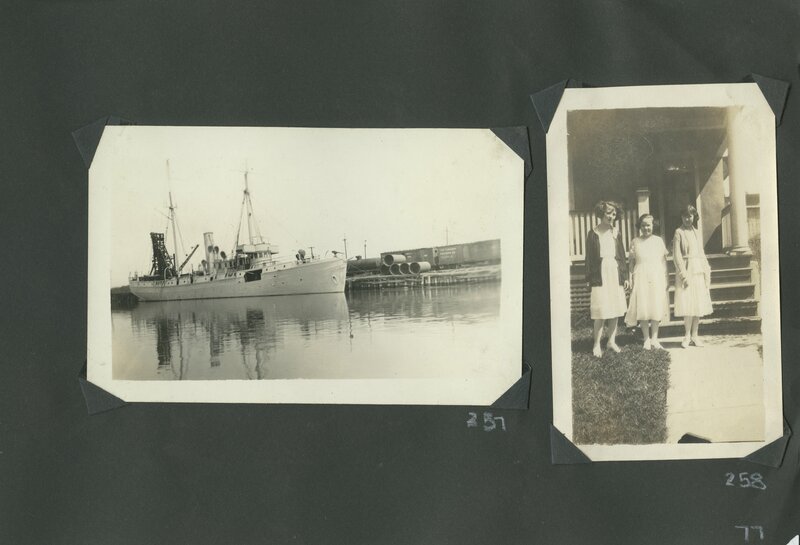 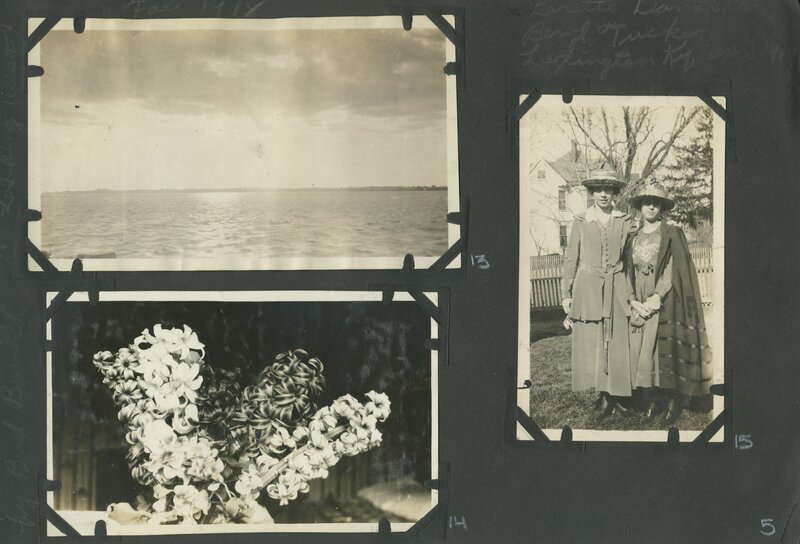 Peal scrapbook contains photographs of Peal's friends and family, 1915-1922. 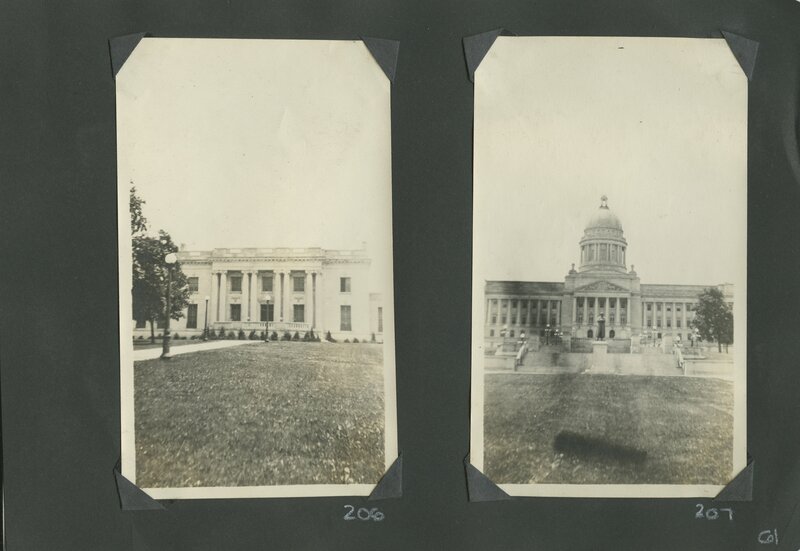 Images include the University of Kentucky, casual snapshots, and images around the state. 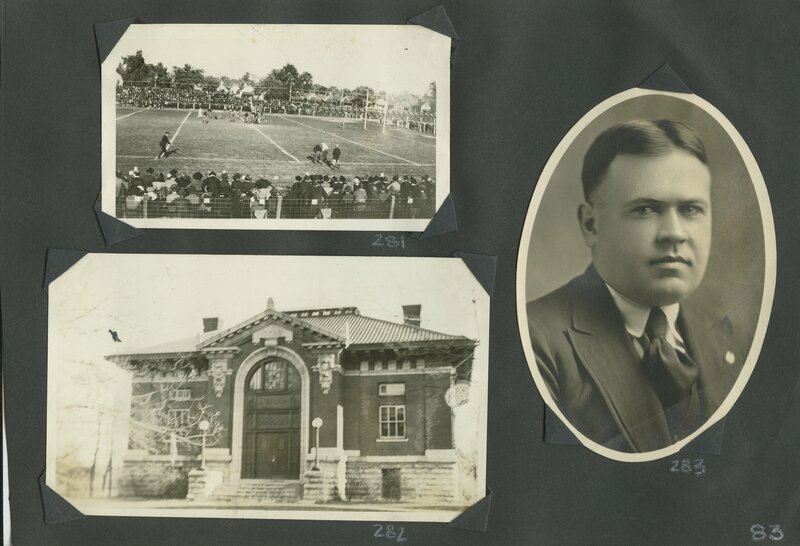 W. Hugh Peal graduated from the University of Kentucky in 1922. 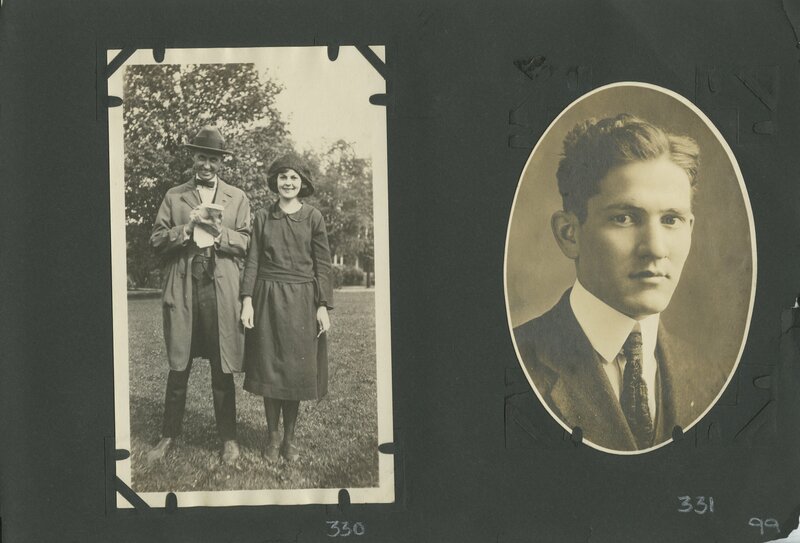 He became one of the first Rhodes Scholars from the university. 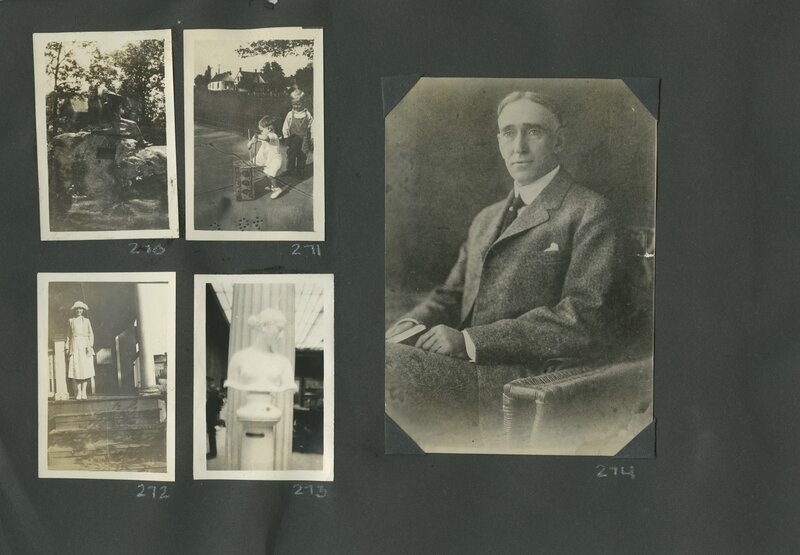 He studied Law at Oxford and became a successful lawyer in New York. 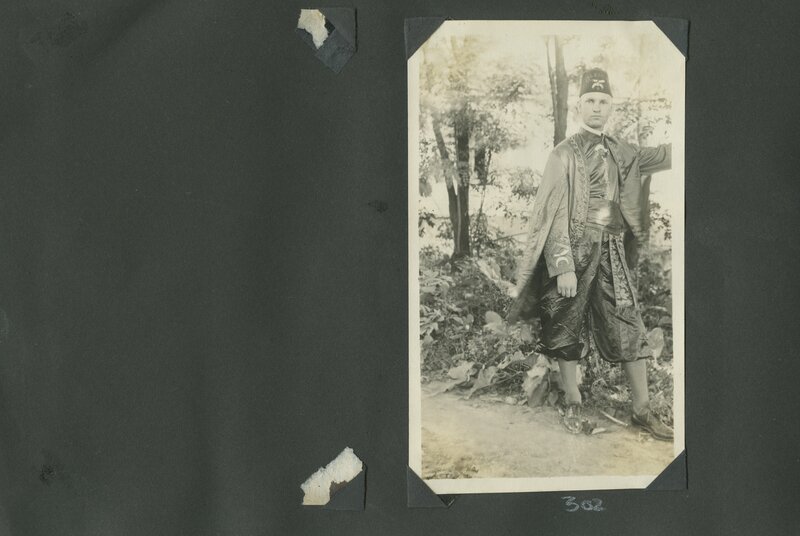 He received an honorary LL.D. 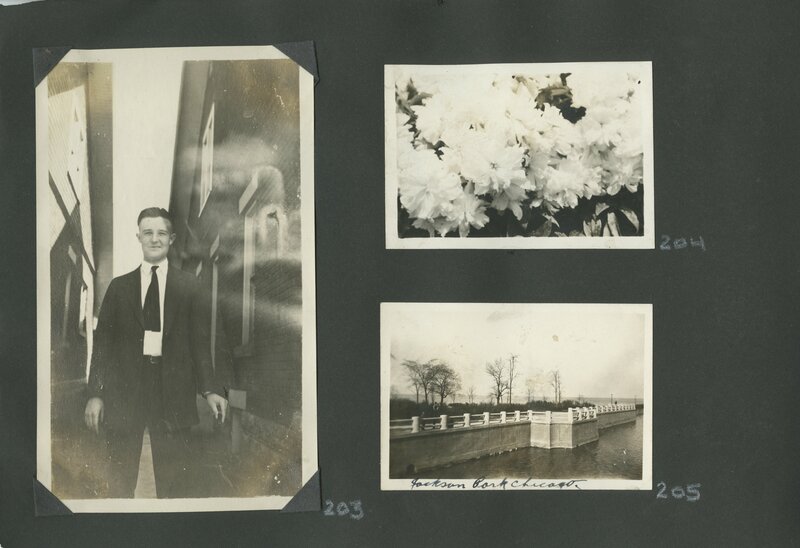 from the University of Kentucky in 1959. 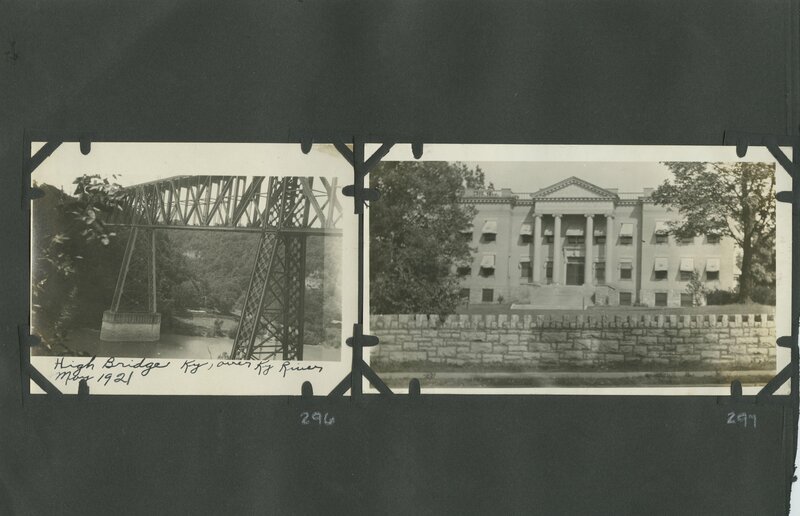 In 1981 Peal donated his collection of rare books and manuscripts to the University of Kentucky Libraries. 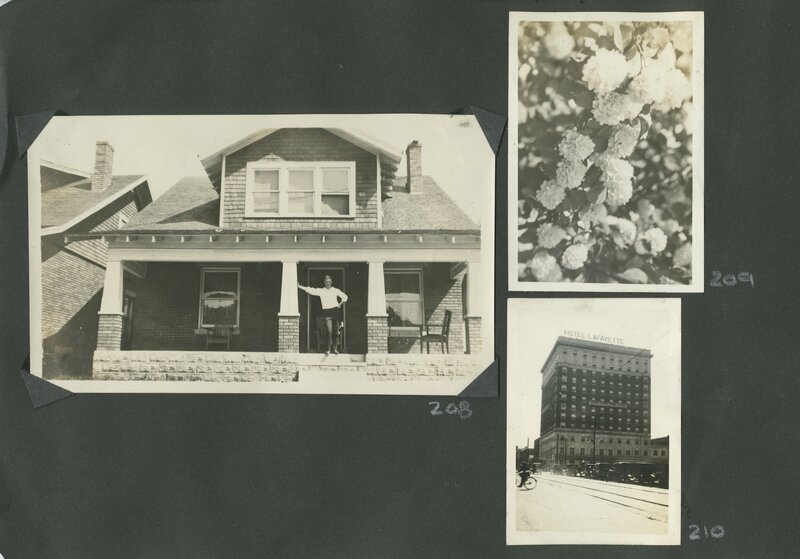 The W. Hugh. 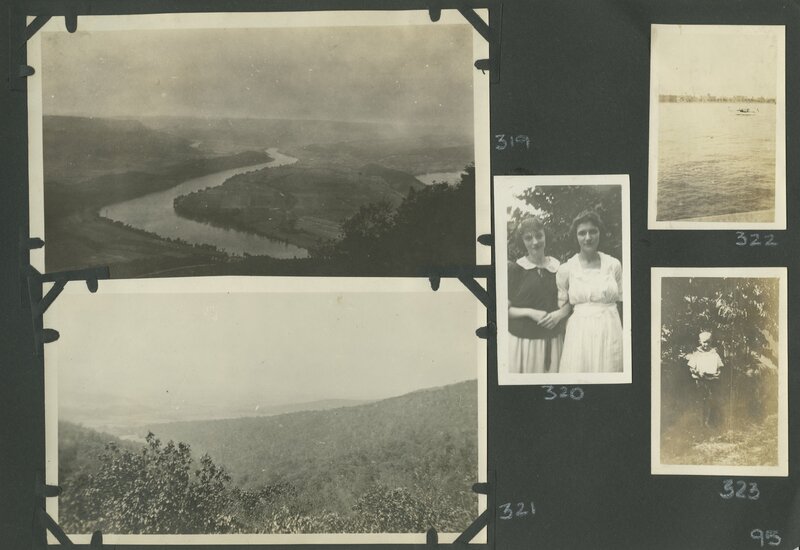 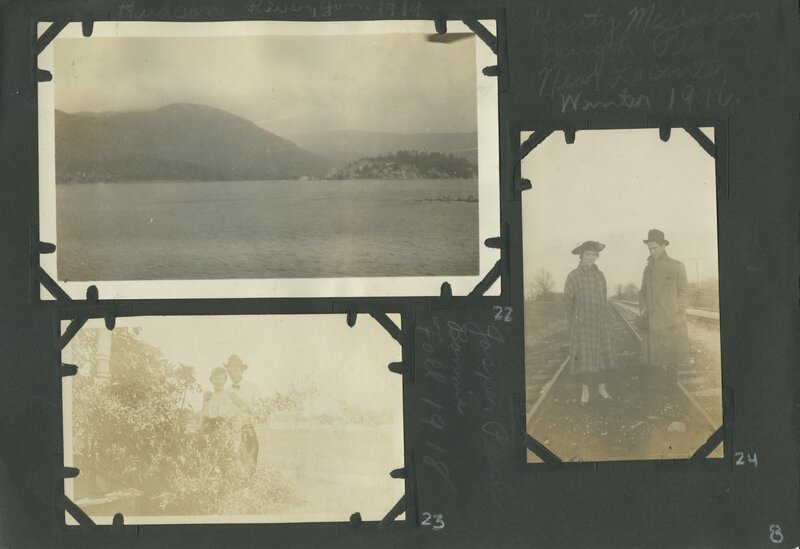 Peal scrapbook contains a photographic scrapbook belonging to W. Hugh Peal. 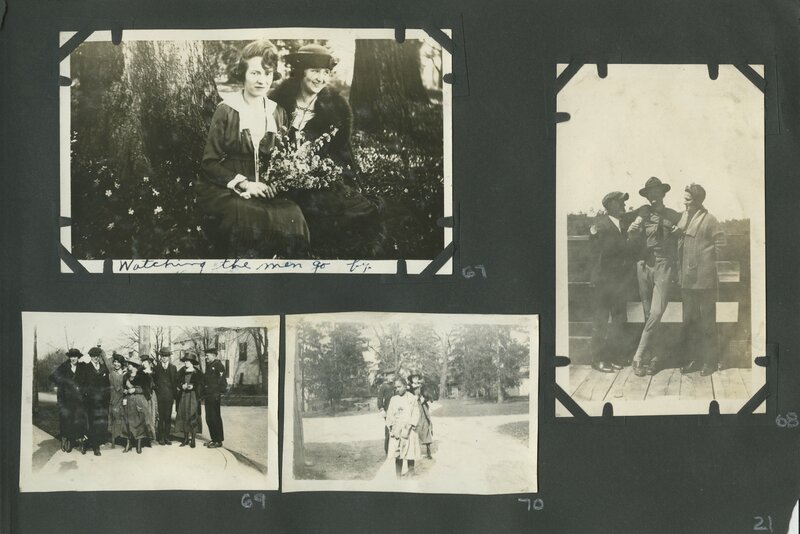 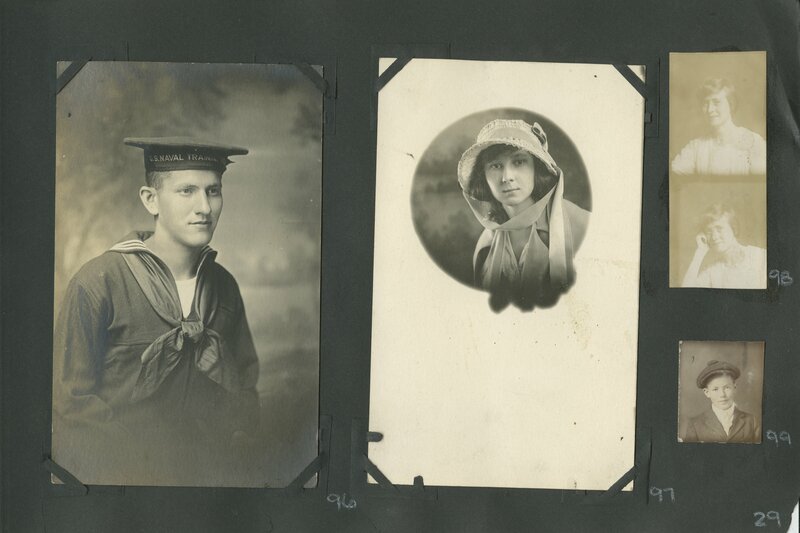 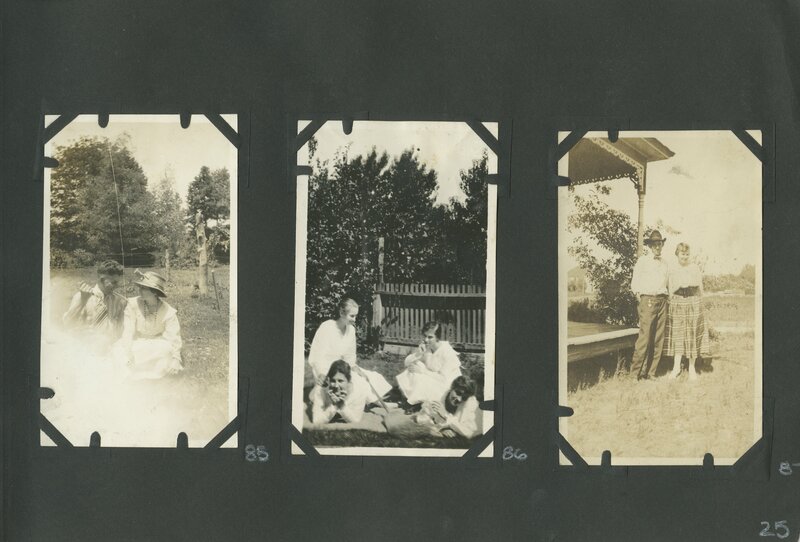 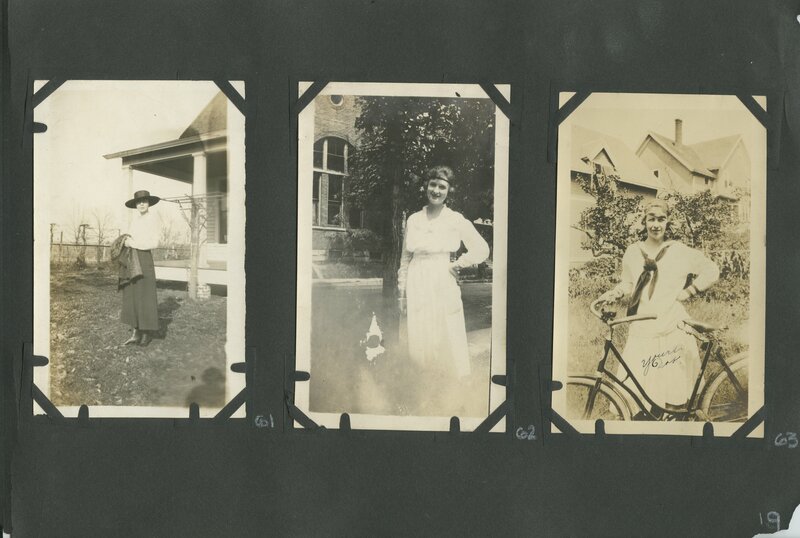 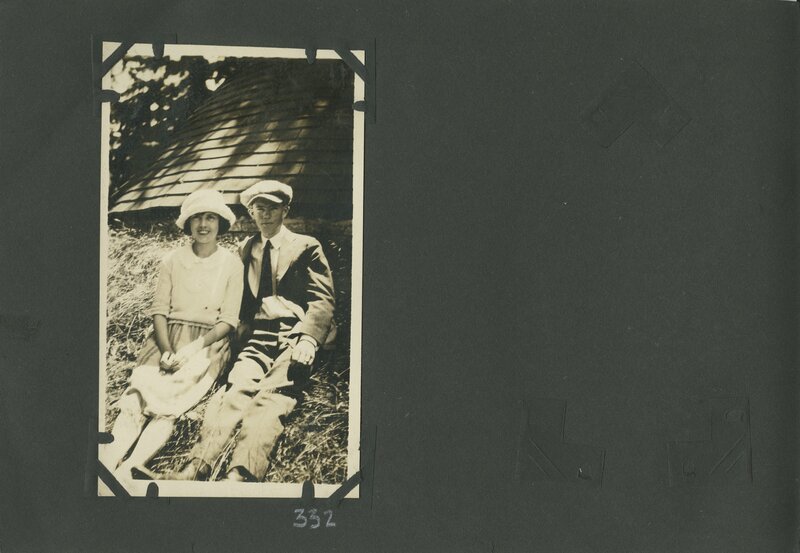 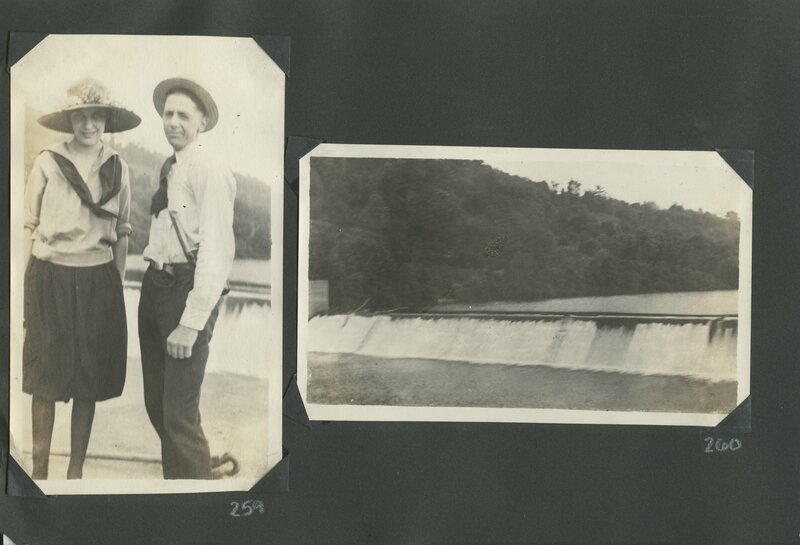 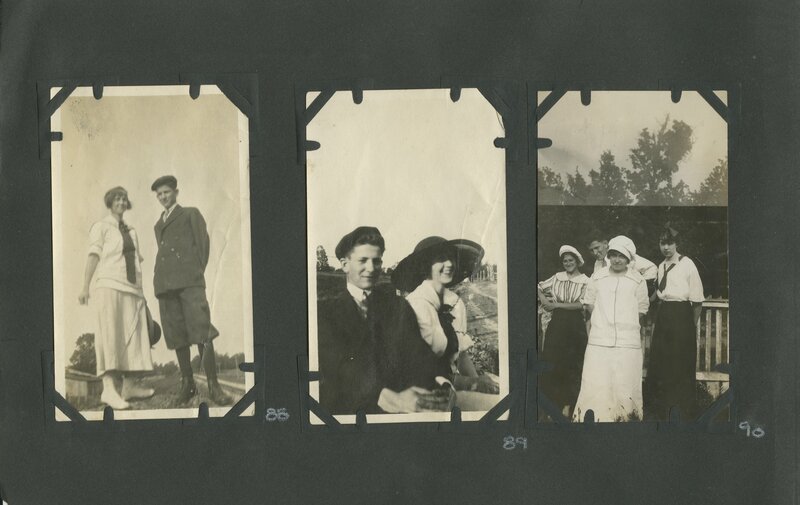 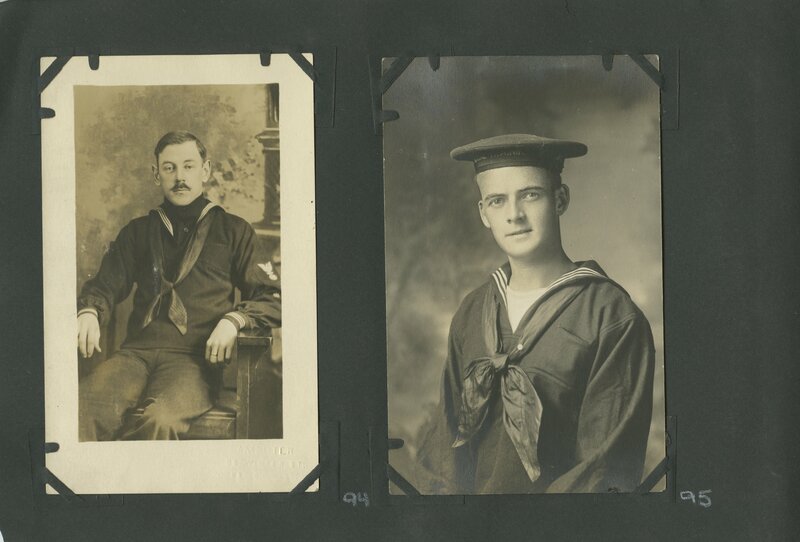 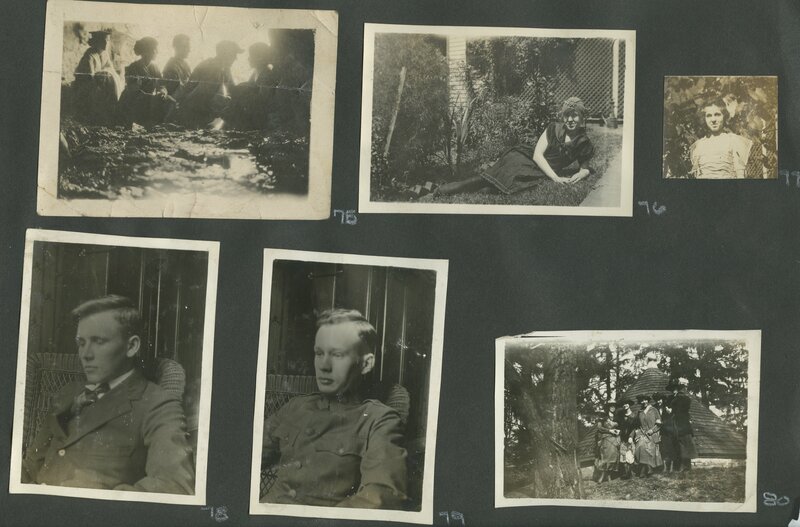 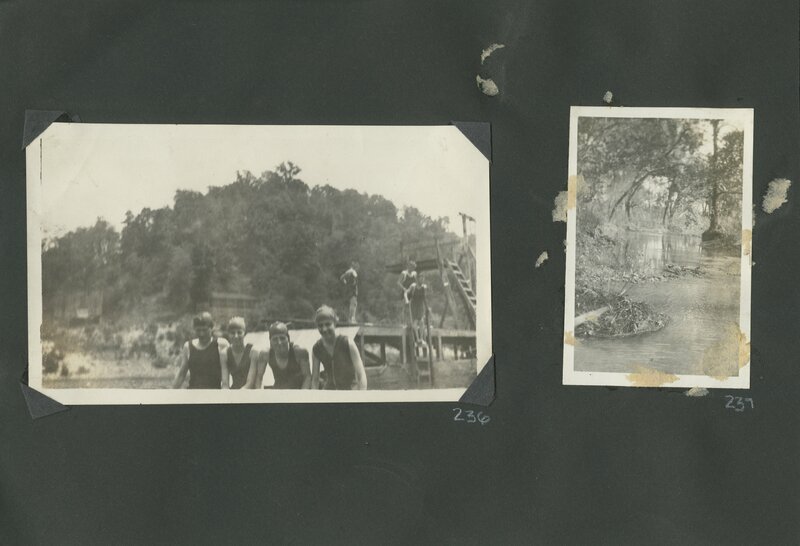 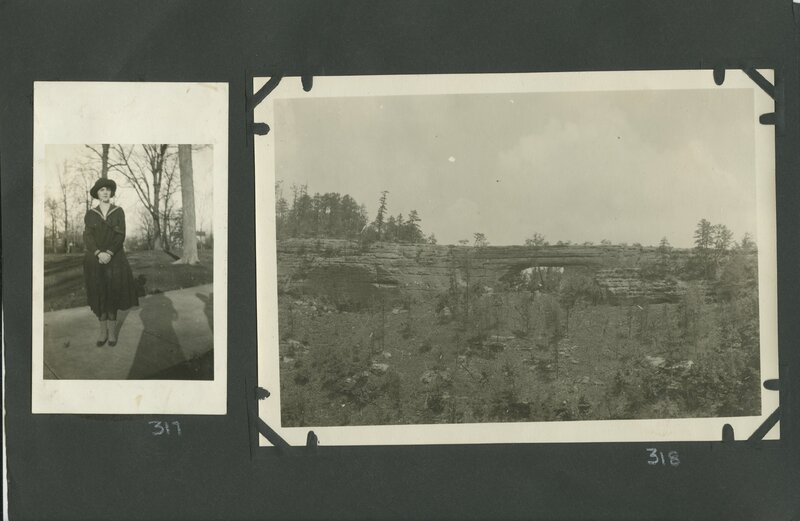 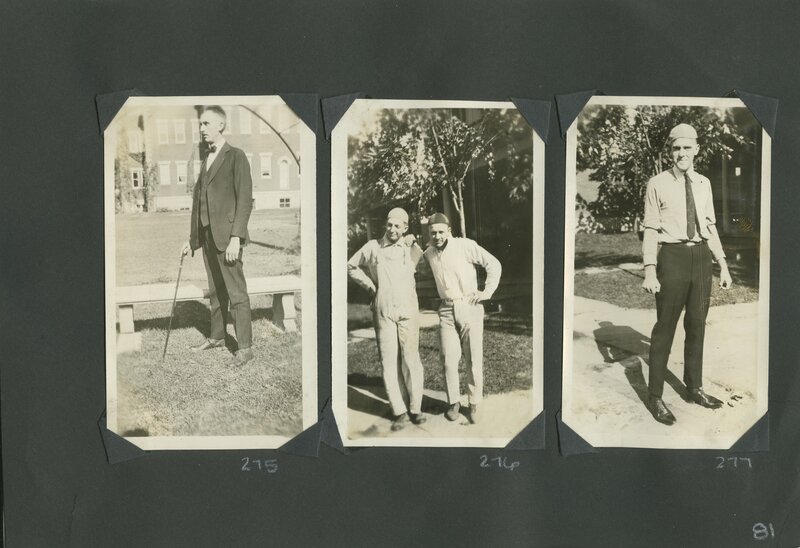 The photos in the scrapbook are of a personal nature mostly documenting his friends and family from 1915-1925. 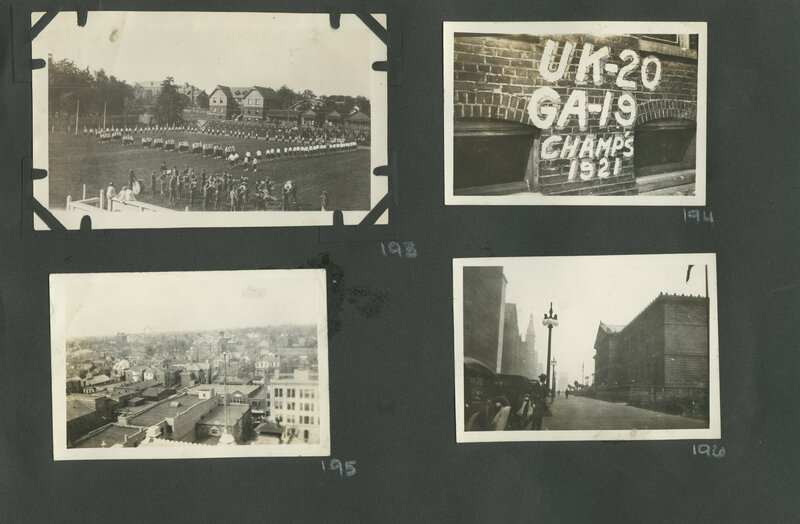 They include various shots of Lexington; buildings and scenes of the University of Kentucky, including football games; and images from around the state including High Bridge. 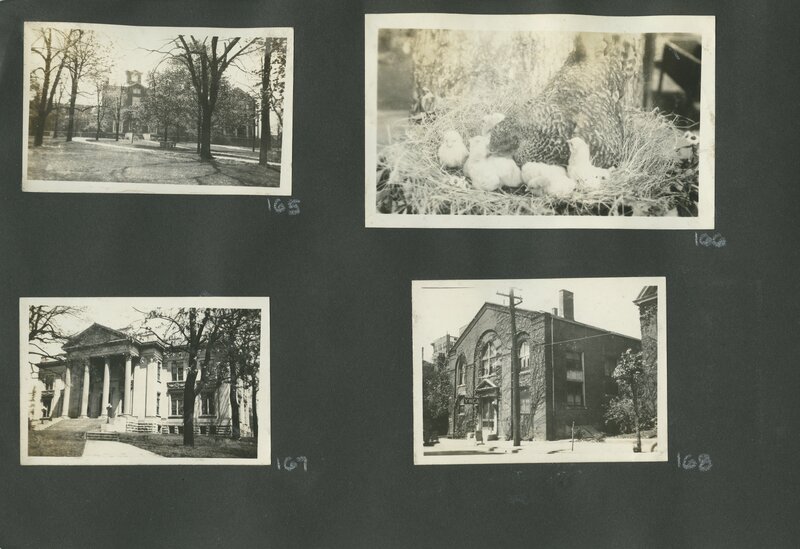 Photographs of campus include buildings such as the Carnegie Library, the Administration Building, and portraits of President Frank L. McVey. 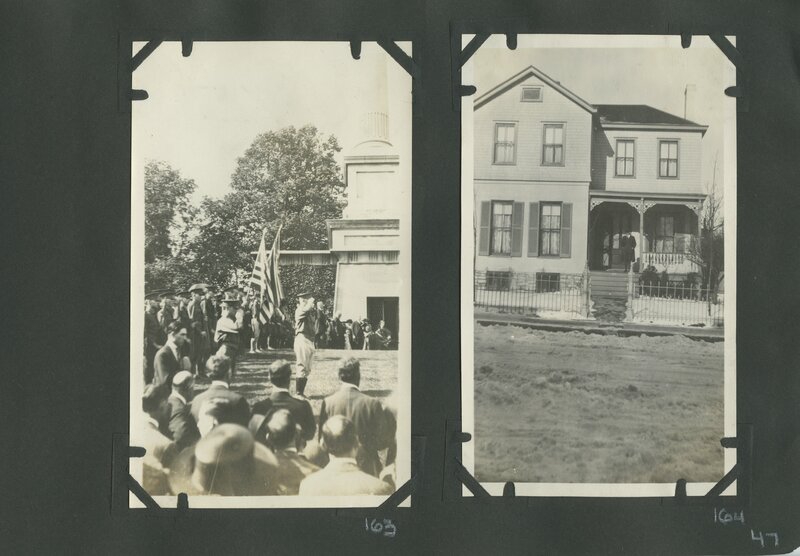 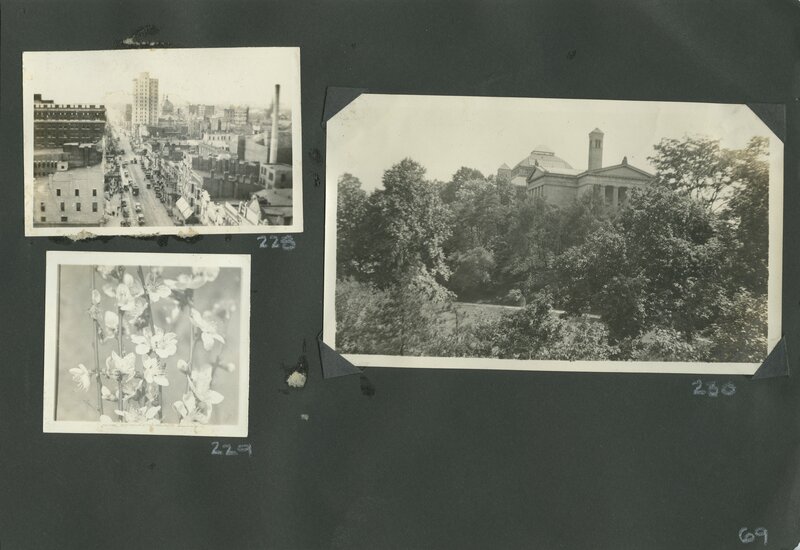 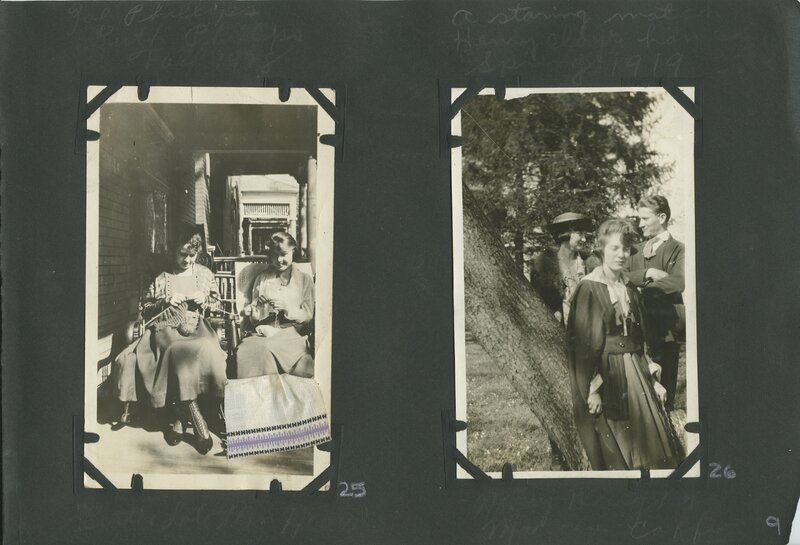 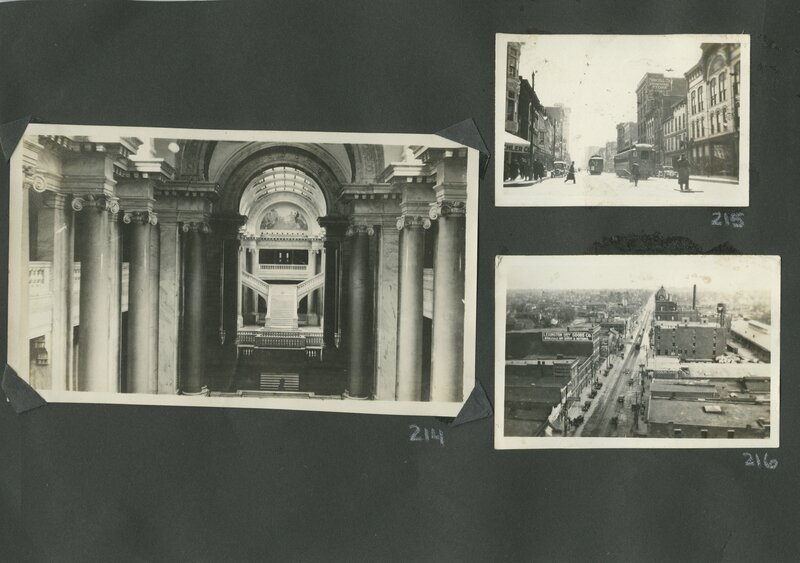 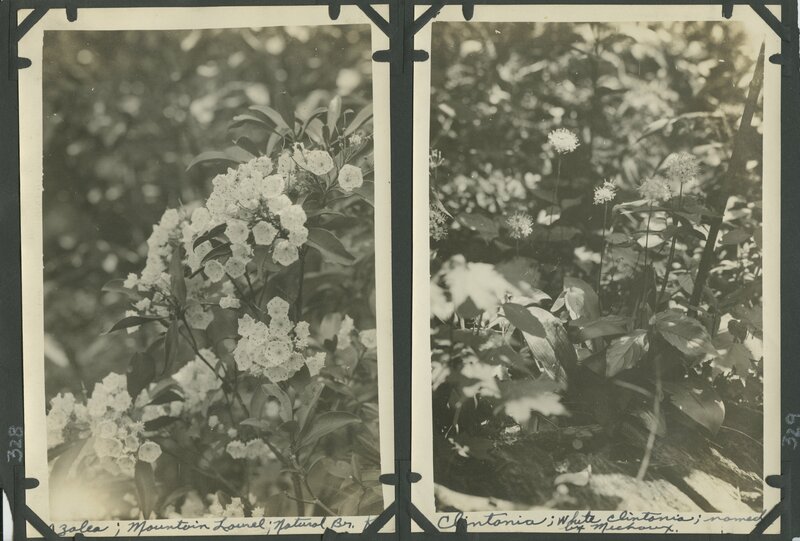 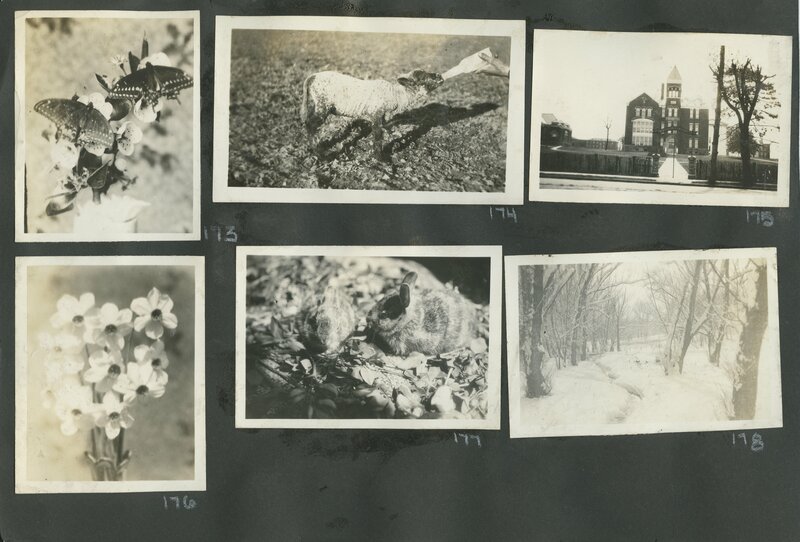 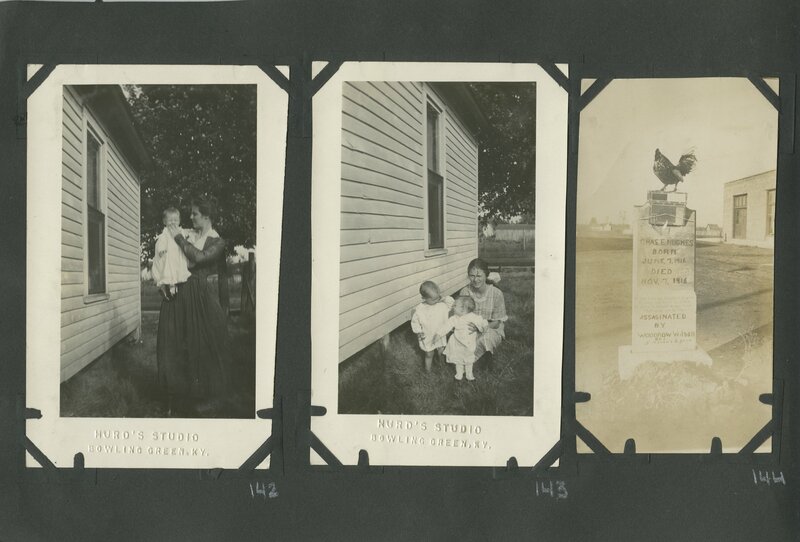 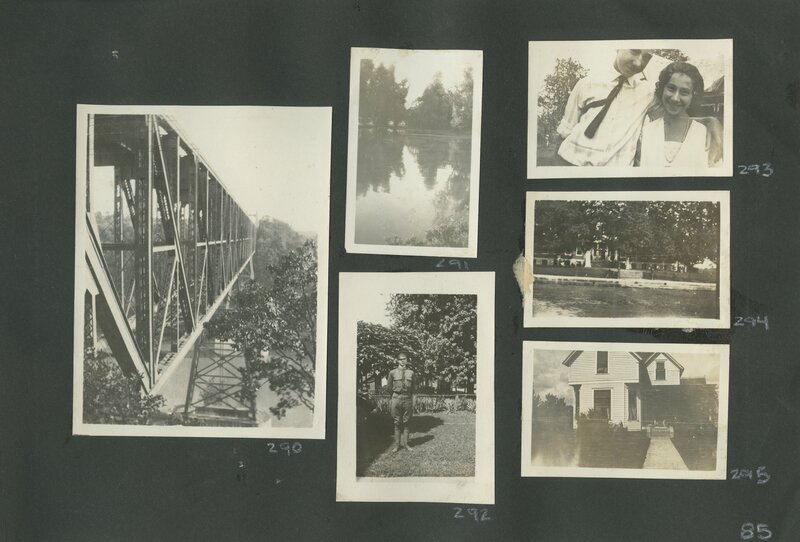 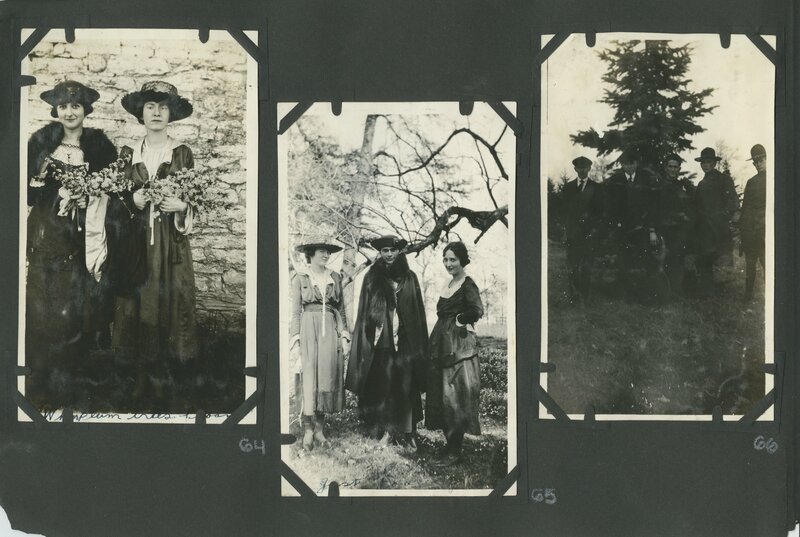 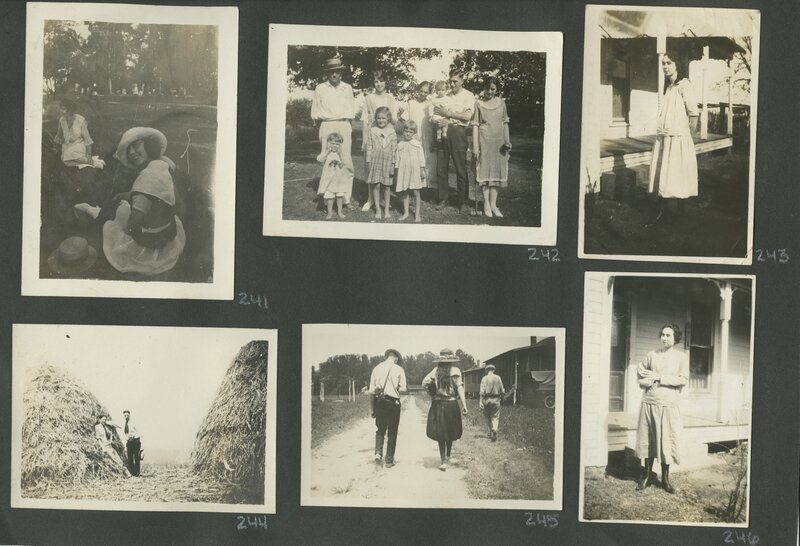 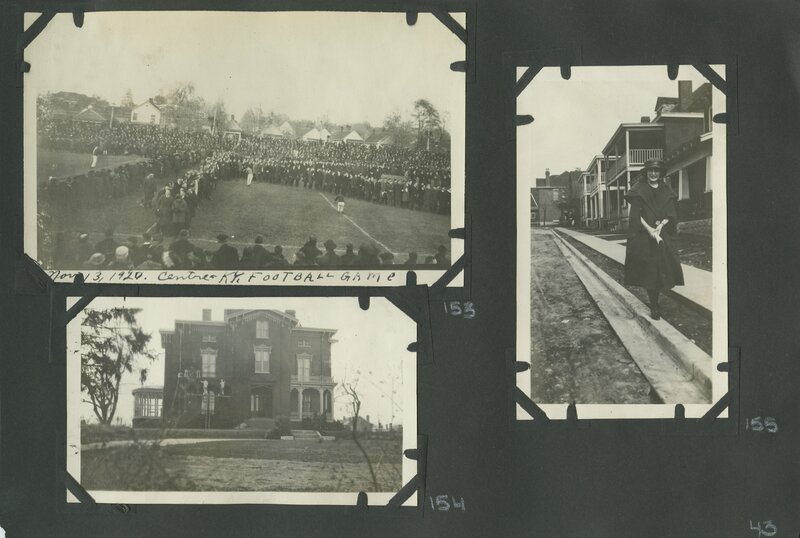 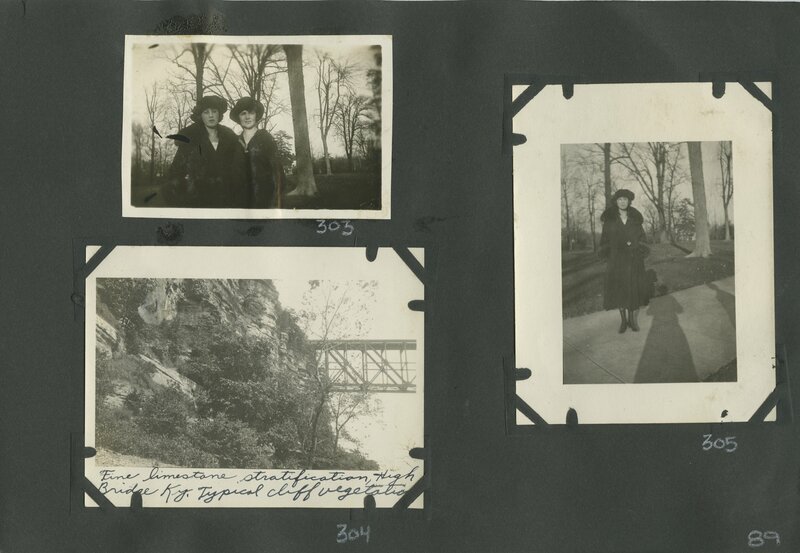 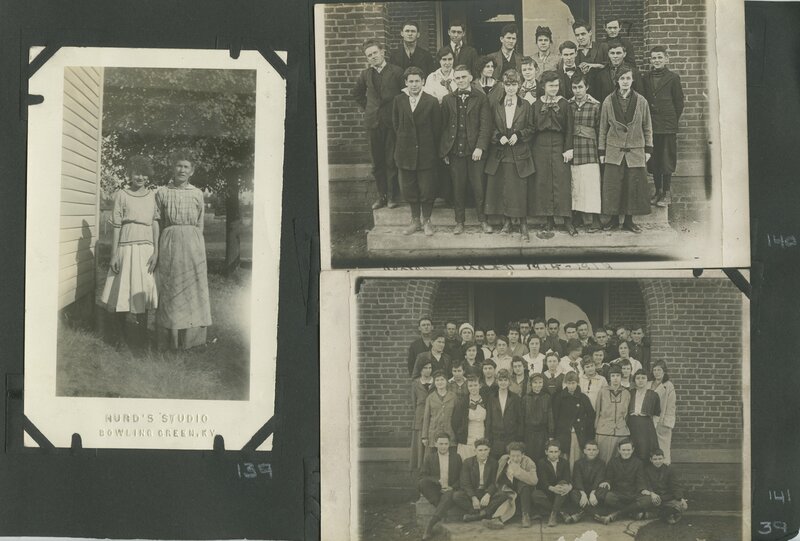 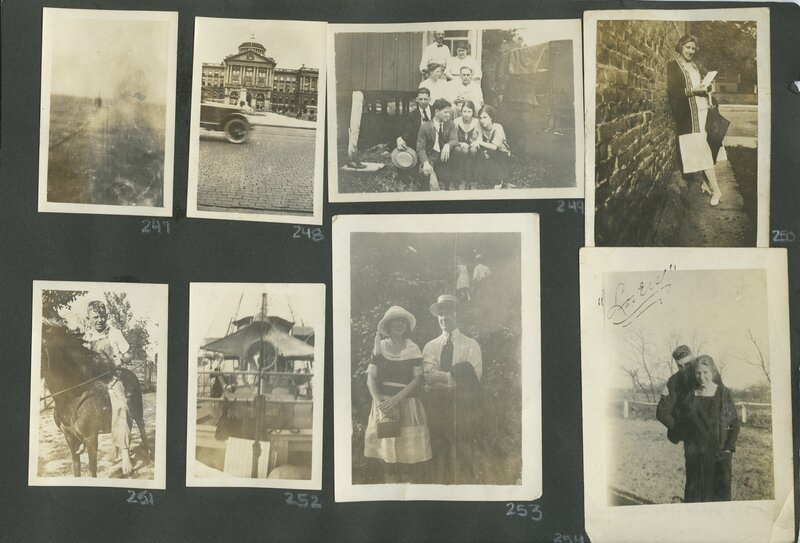 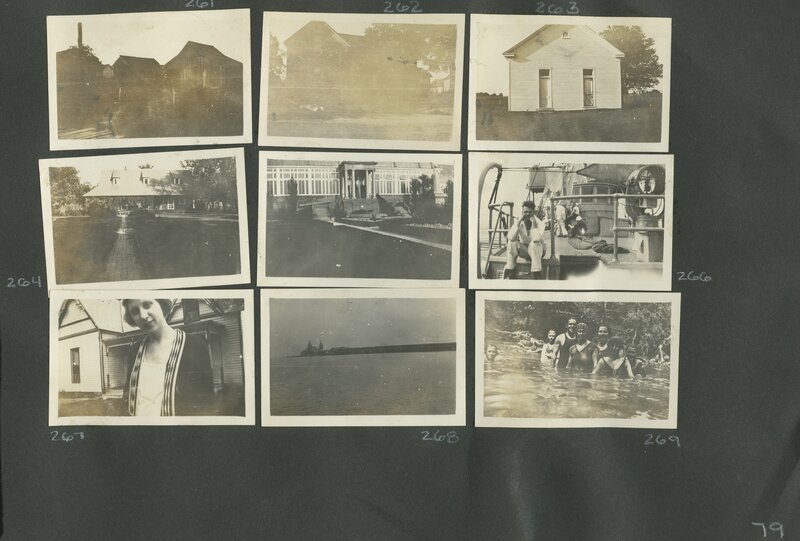 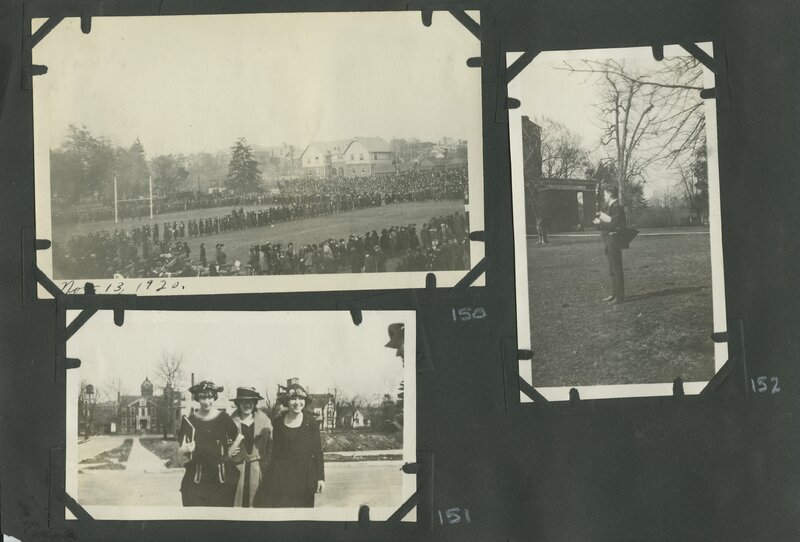 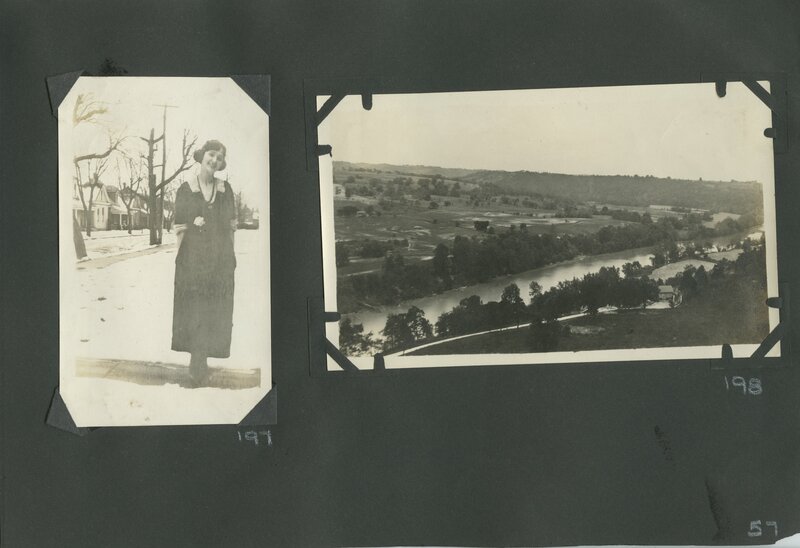 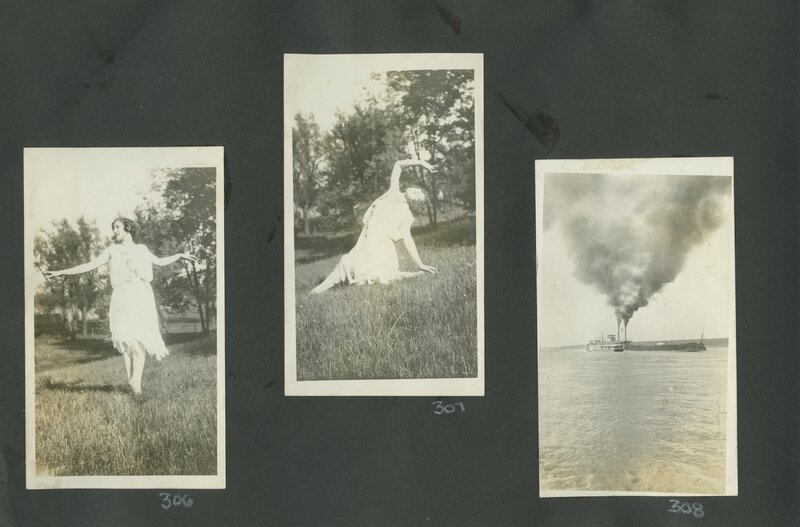 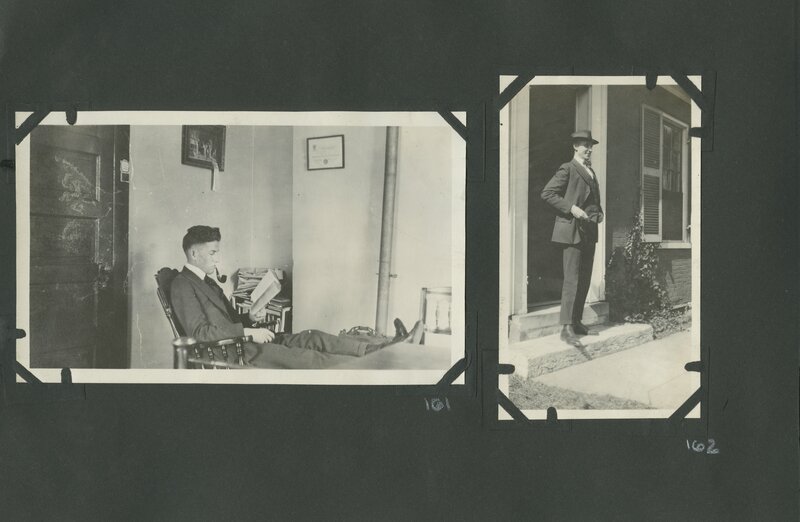 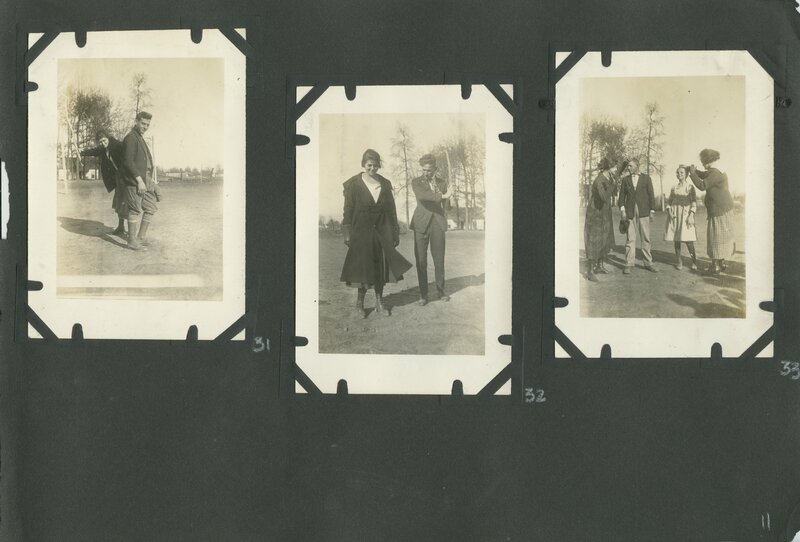 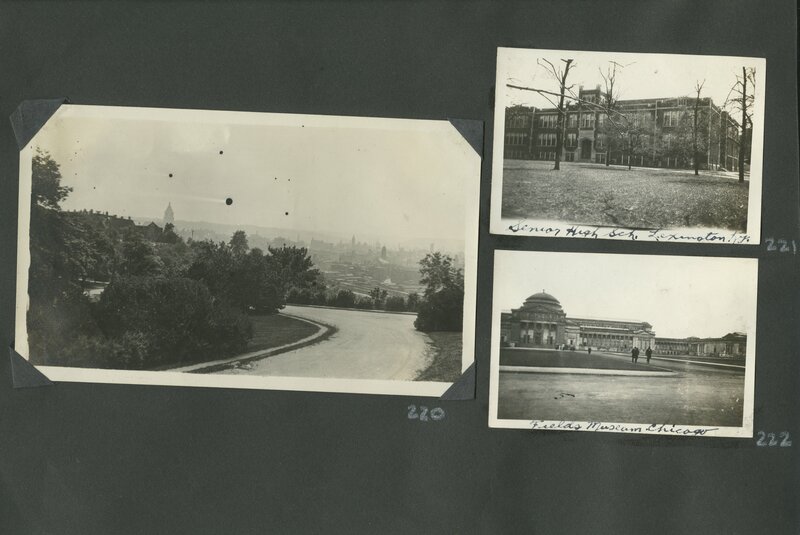 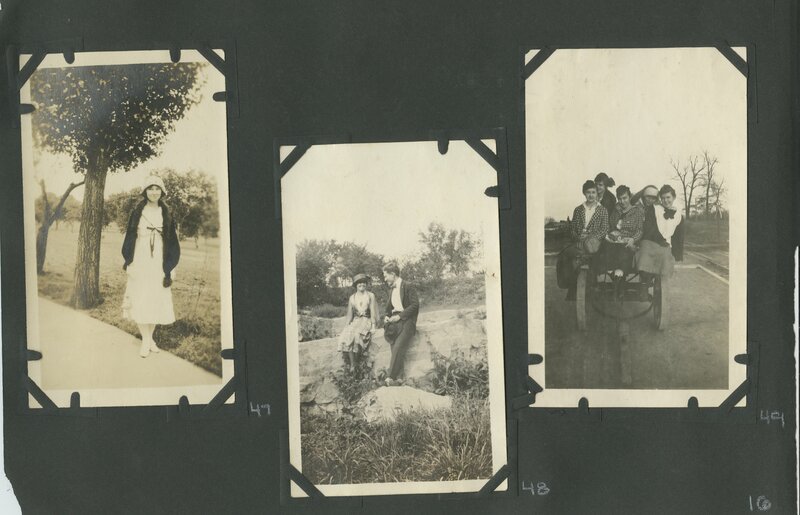 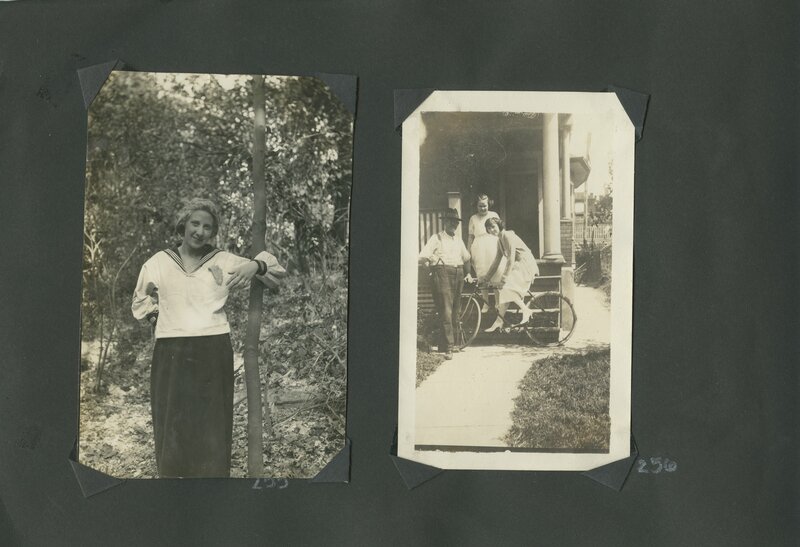 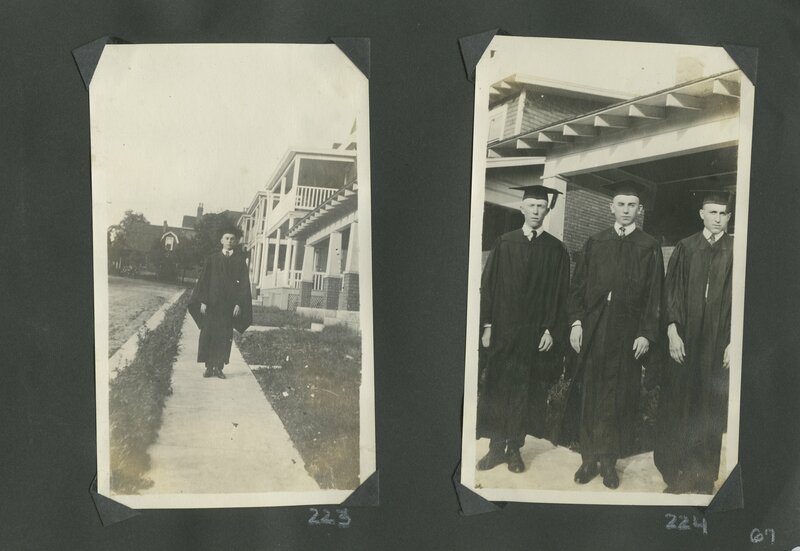 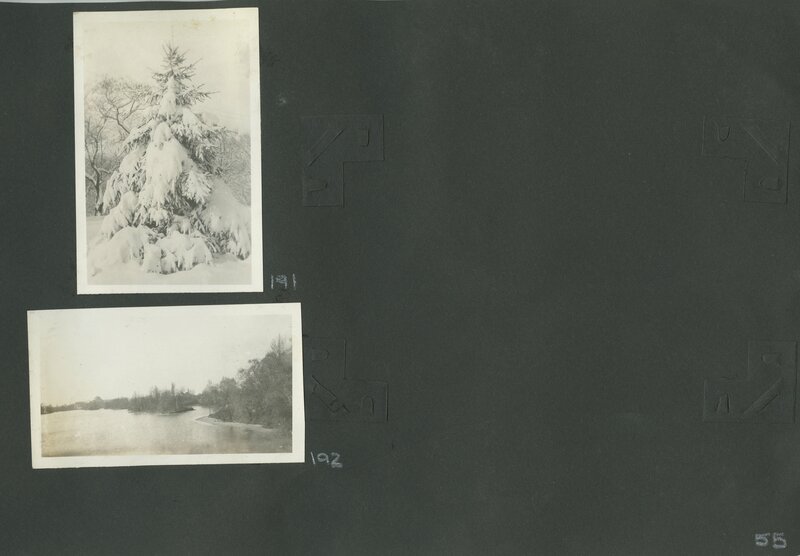 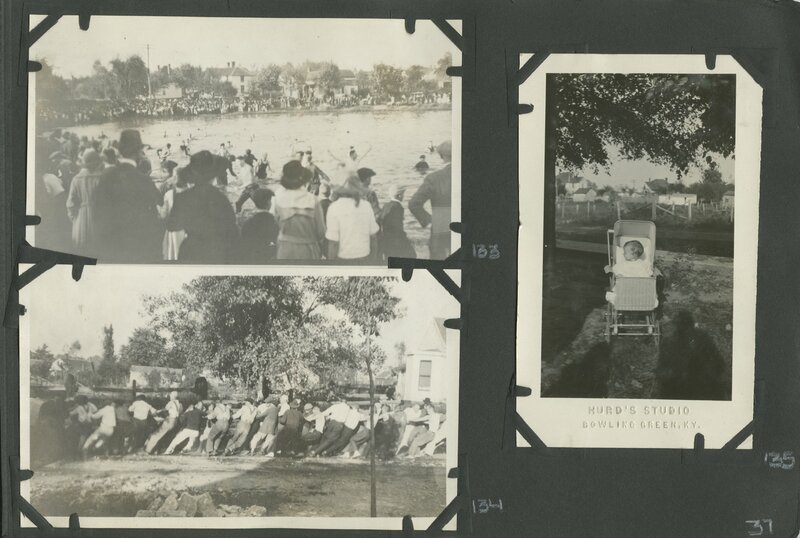 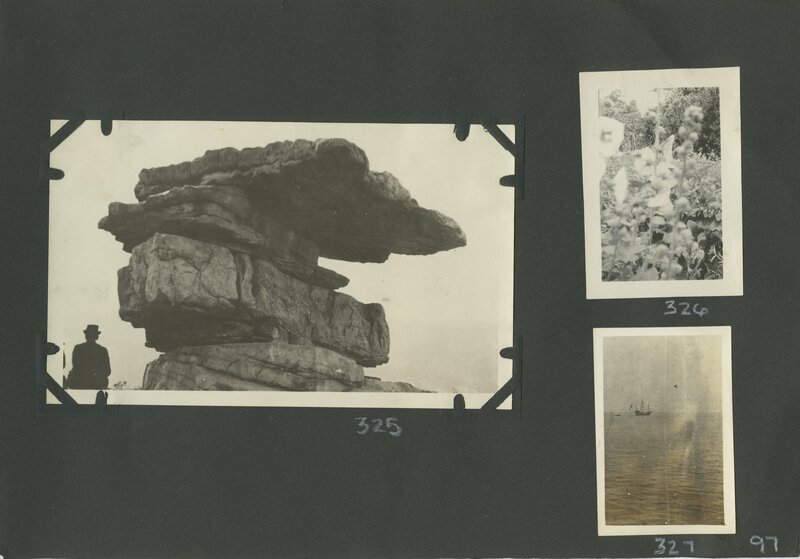 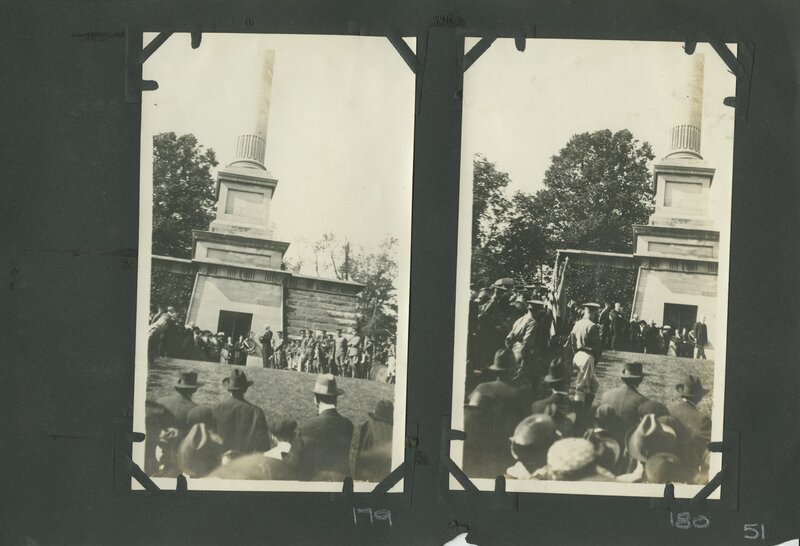 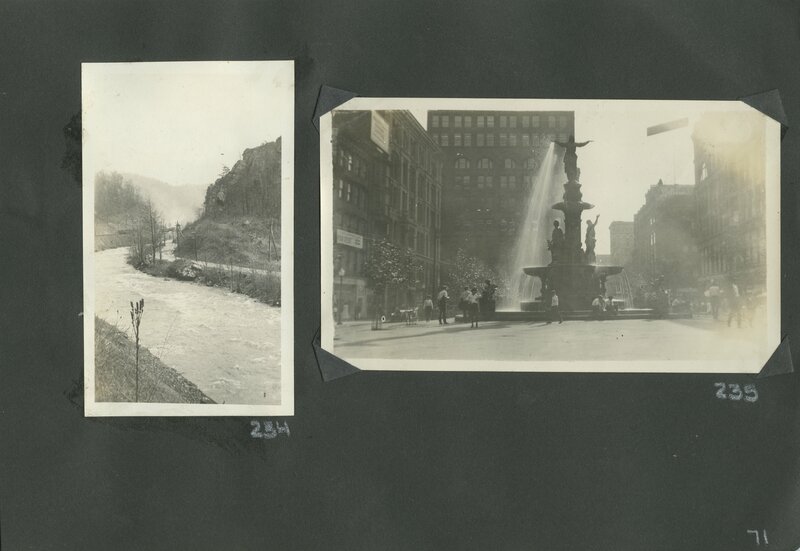 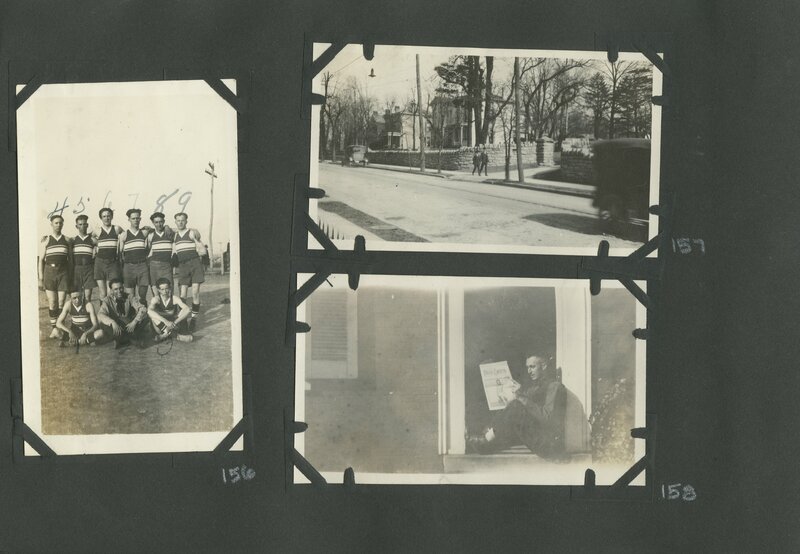 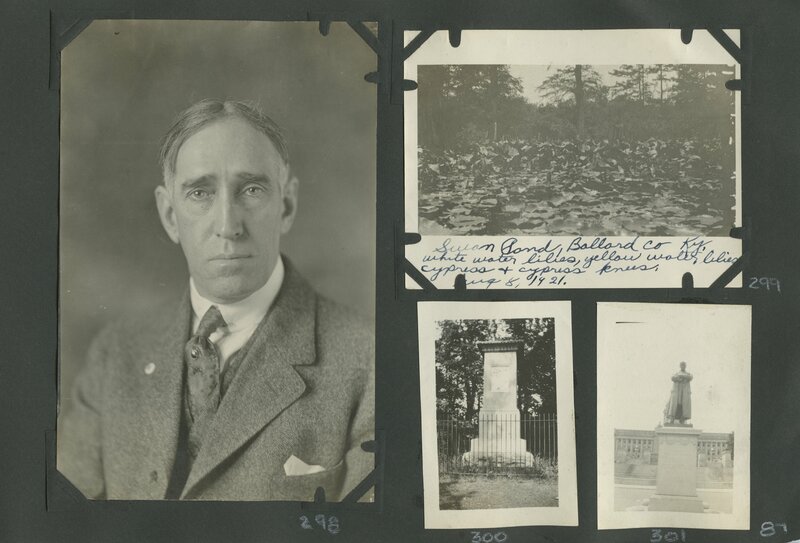 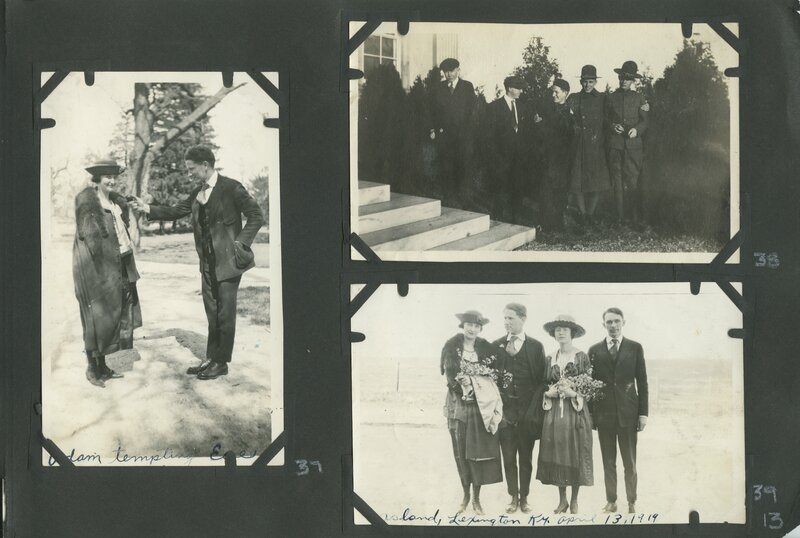 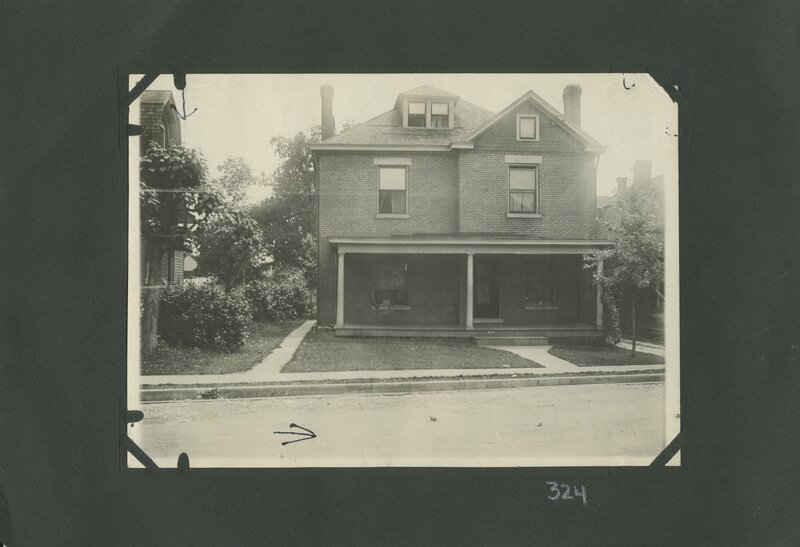 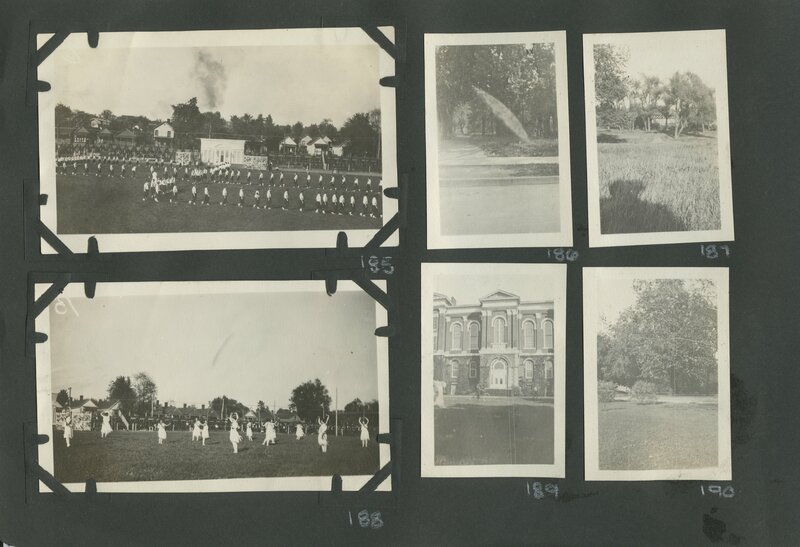 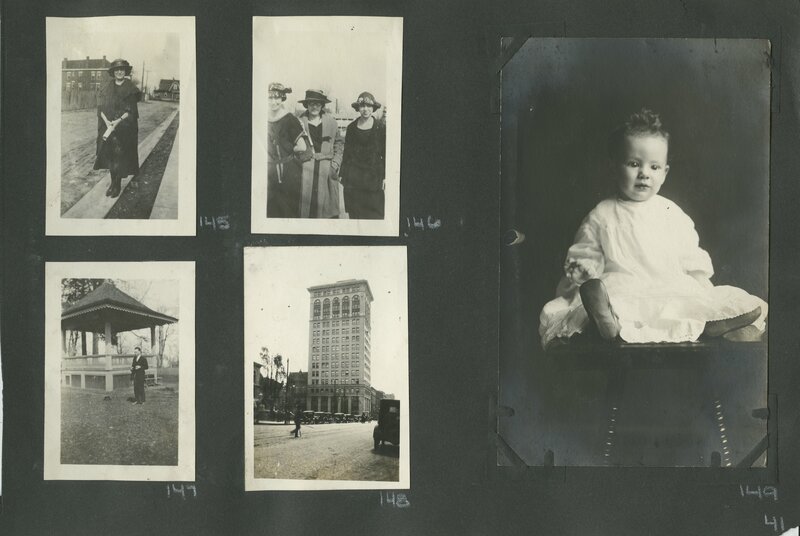 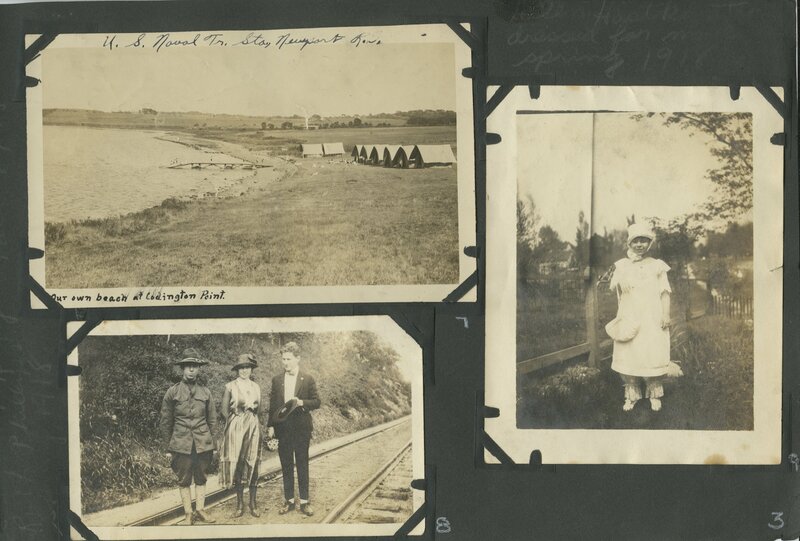 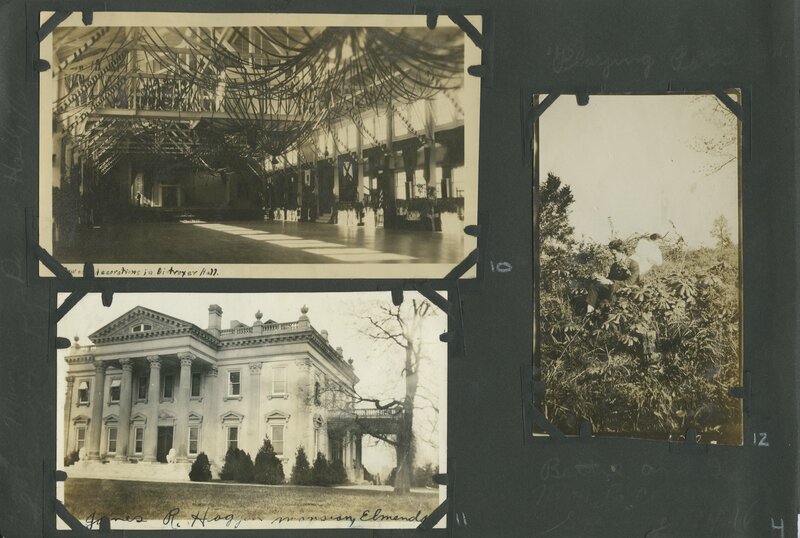 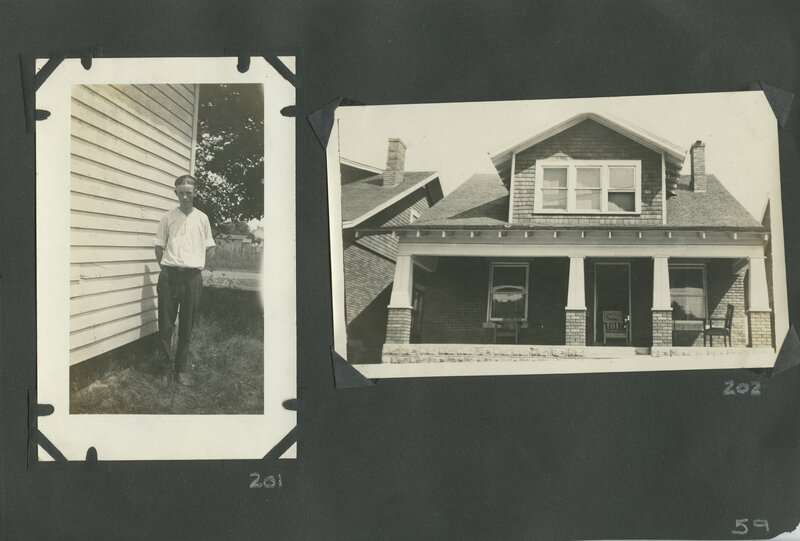 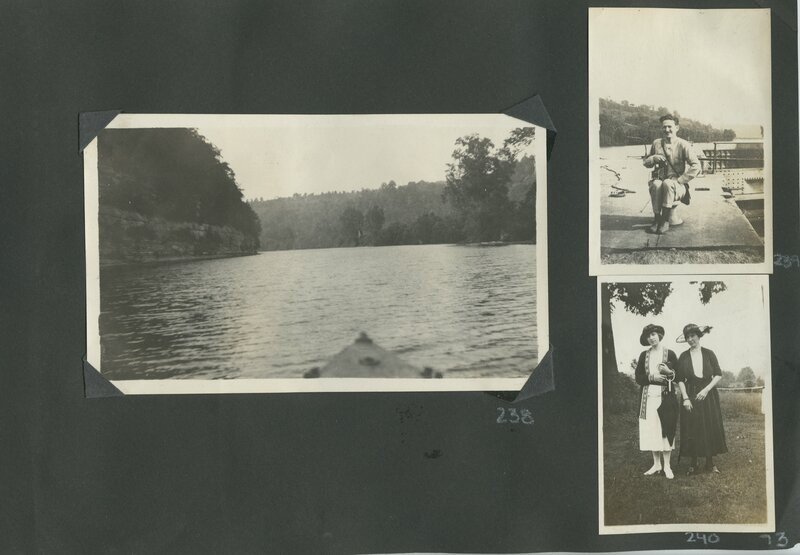 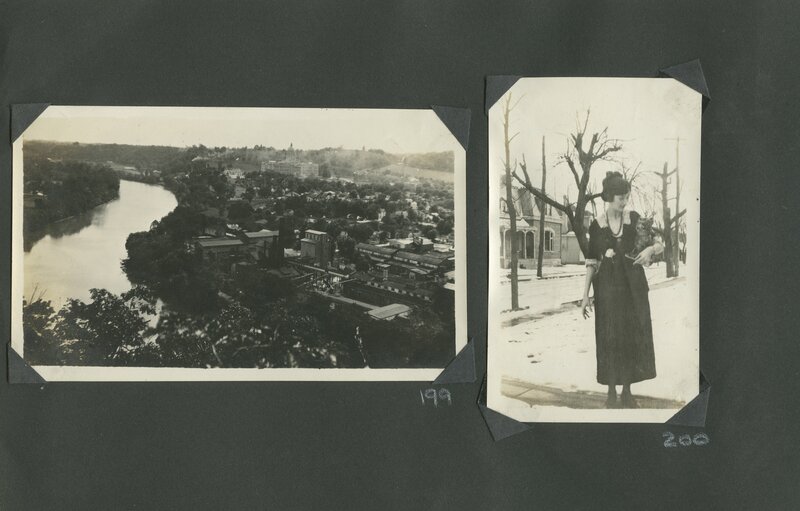 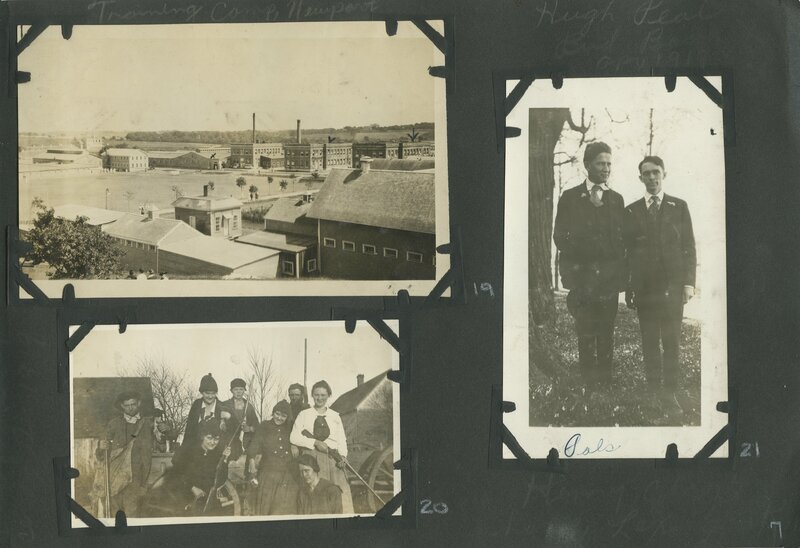 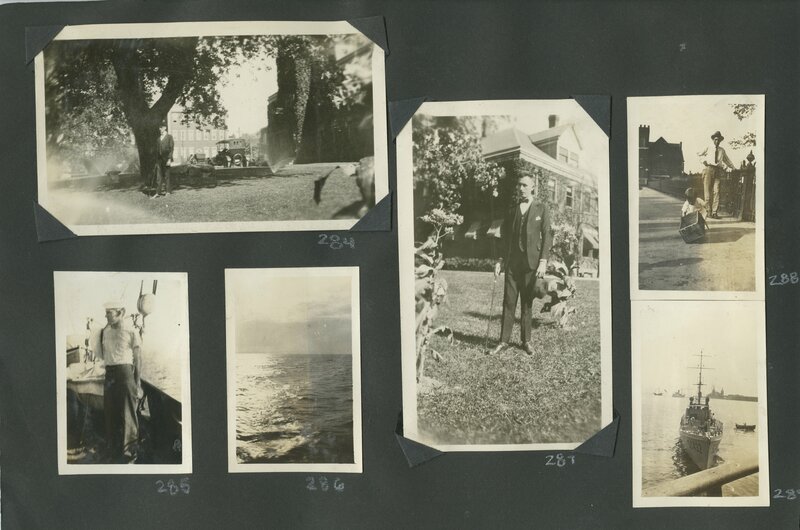 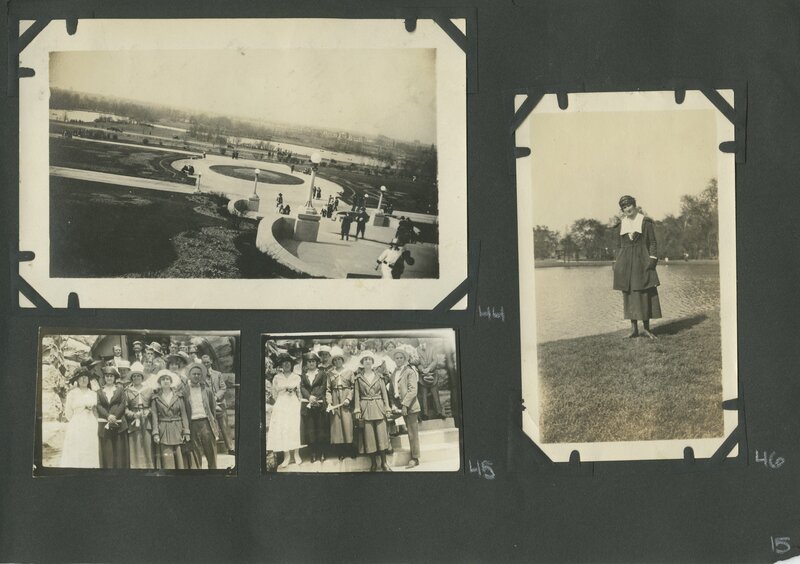 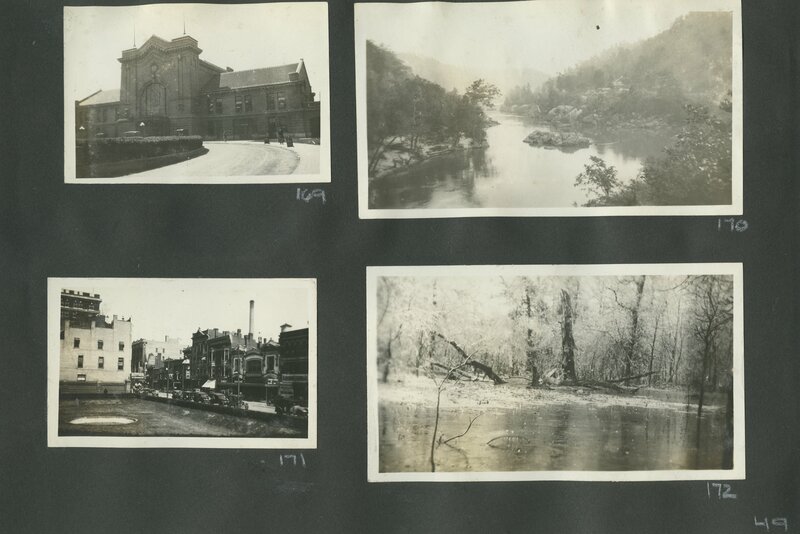 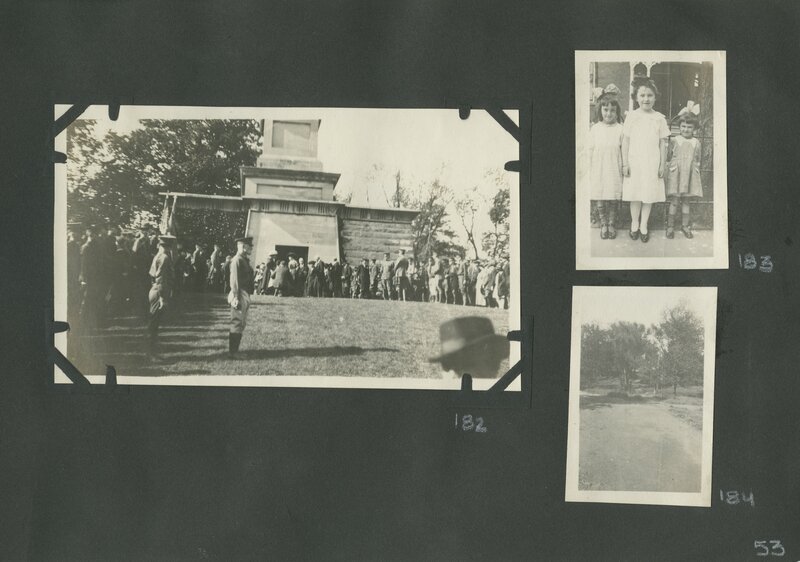 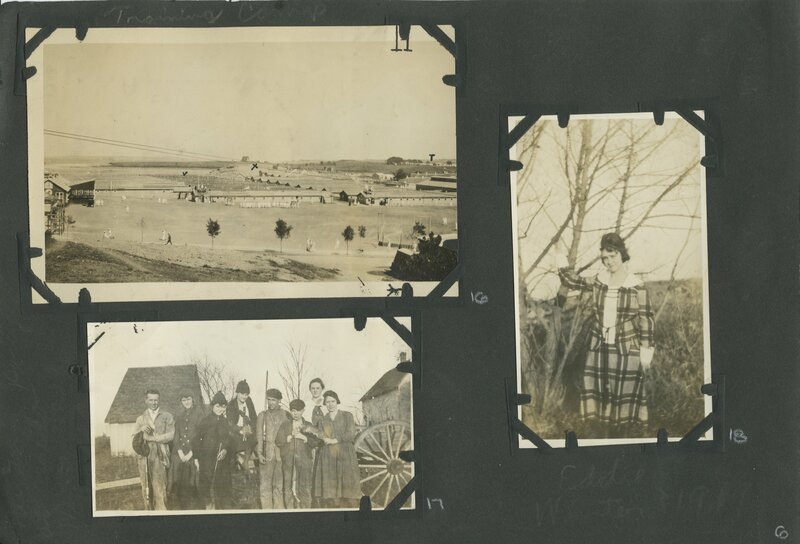 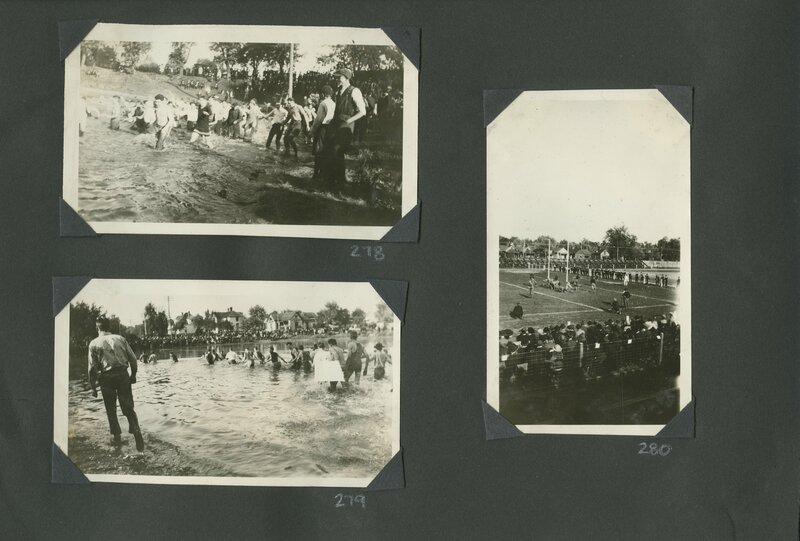 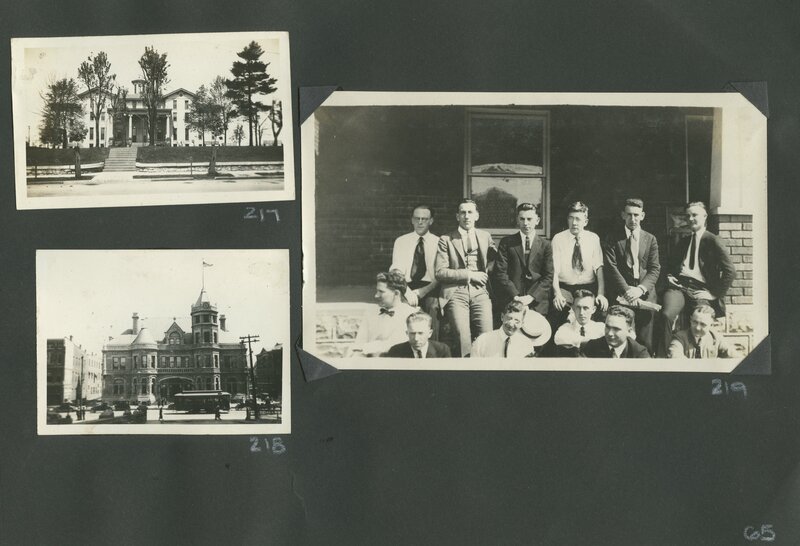 The scrapbook also contains photographs from Peal's travels outside of the state to Chicago. 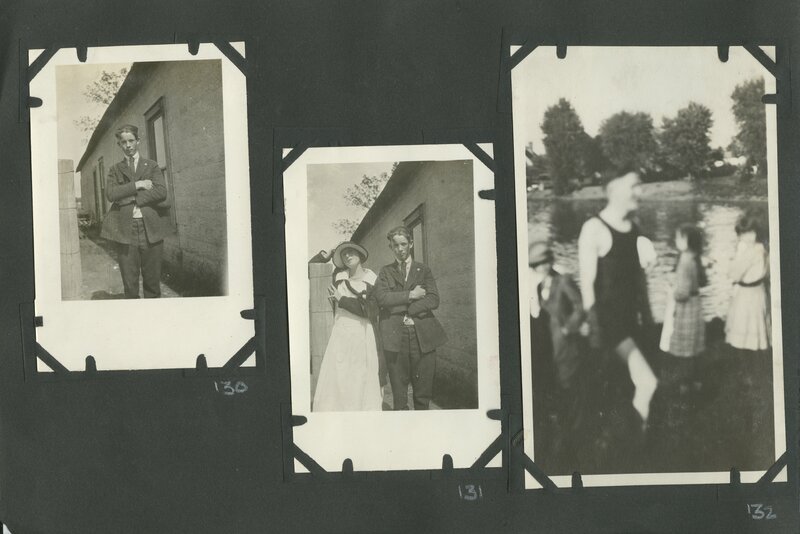 There are many photos of people, most of whom are not identified. 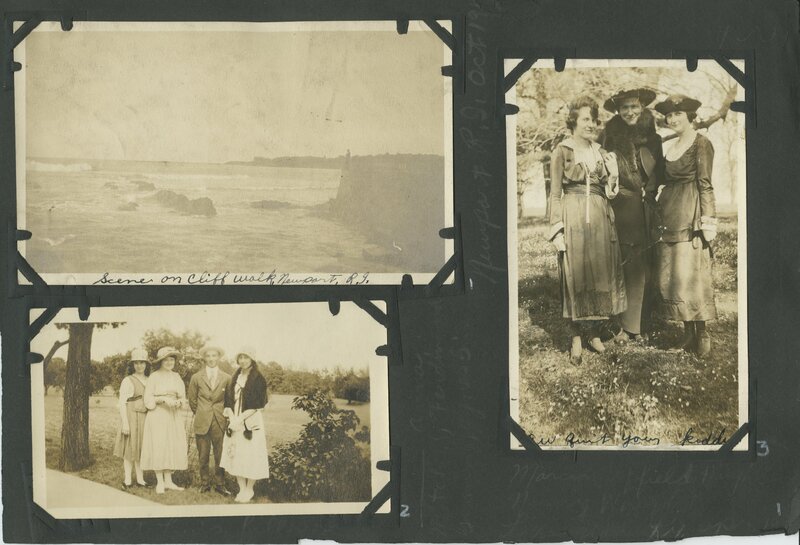 Some of the photos are labeled, but the writing is faded and hard to read, others are not labeled at all. 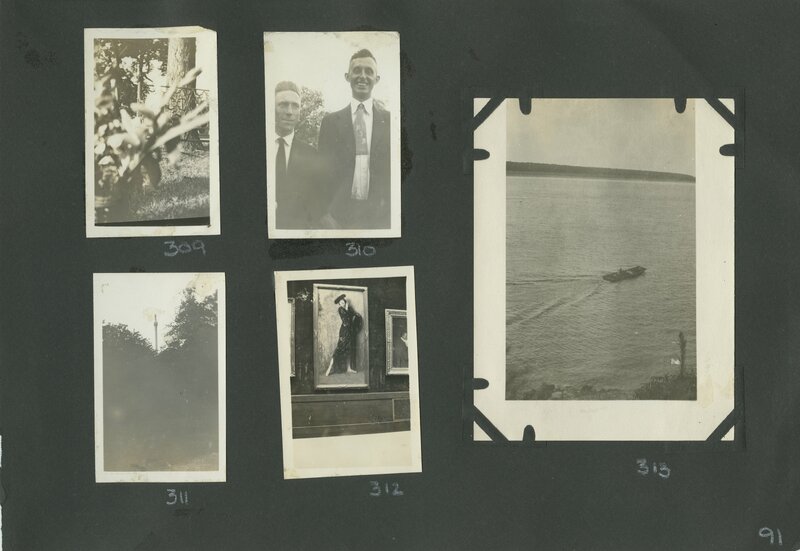 The photographs are mounted on black album pages. 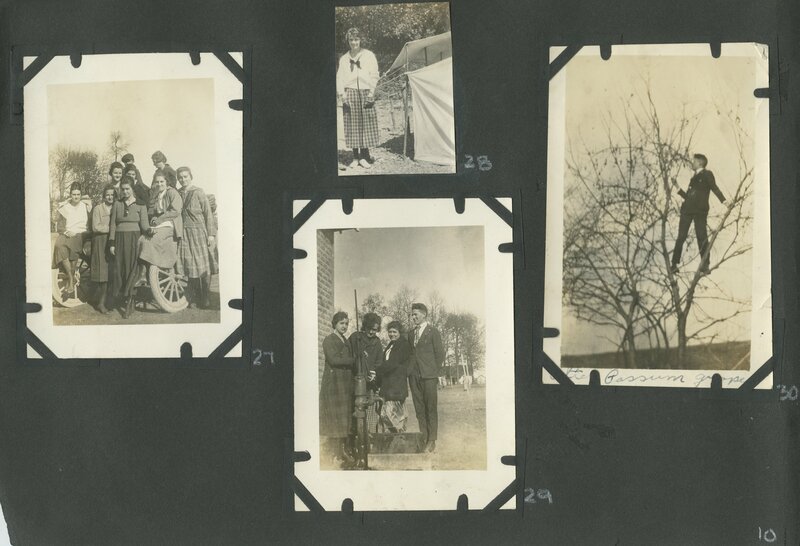 All descriptions contained within quotations were taken directly from the photograph or album page and the others from direct observation. 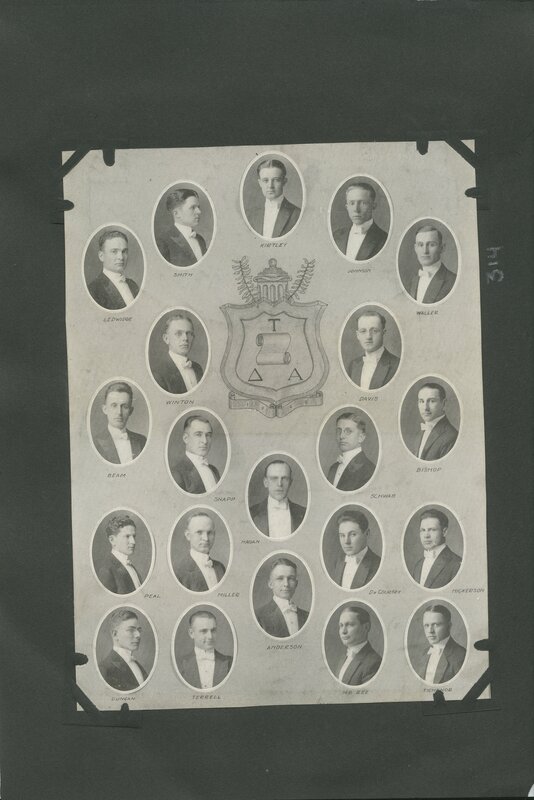 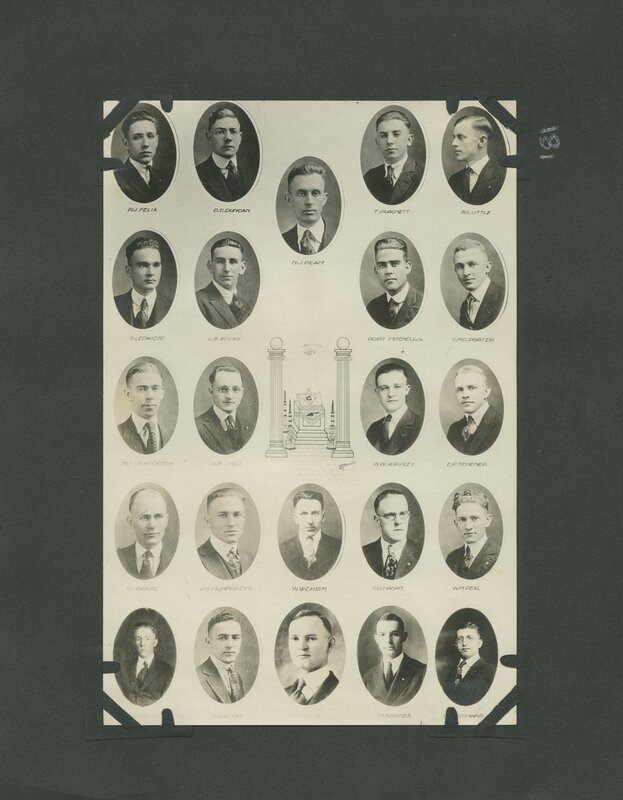 individual portraits with the Mason's Symbol in the center "RJ Felix, DG Duncan, MJ Beam, T Burchett, RC Little, G Ledwidge, JB Bishop, Robt Mitchell Jr, CMC Porter, MJ McWhorter, WB Davis, WW Kirkley, EP Tichener, O Howard, JC Humphreys, WW Chism, OD Hagan, WH Peal, [? 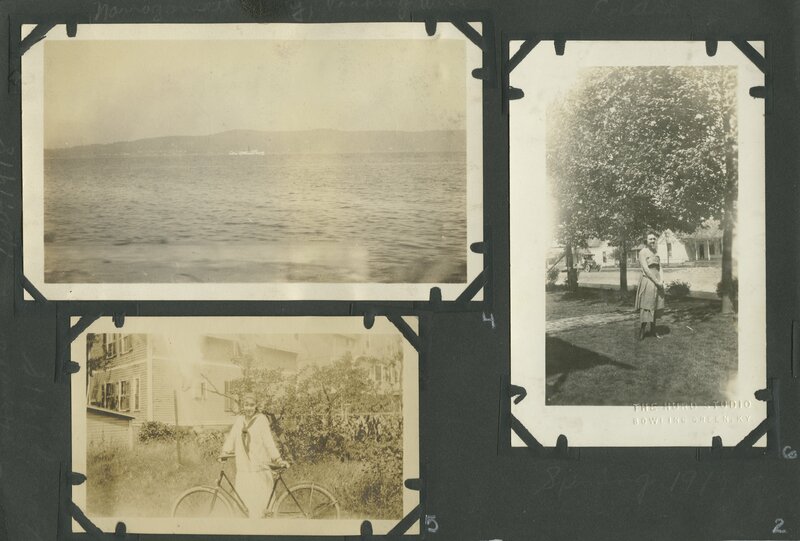 ], O. Gallop, [? 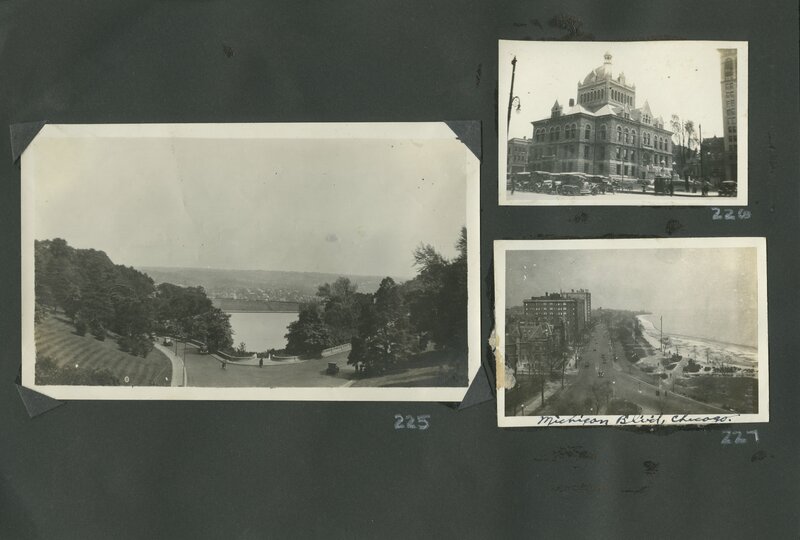 ], M Barnes, W Schwab"
man standing between 2 buildings; flowers; "Jackson Park Chicago"
interior of building, very ornate; view of street; overhead view of street with buildings down both sides, and cars sign reads "Lexington Dry Goods Co. Wholesale dry goods and notions"
view of a road and a body of water; exterior of a building; "Michigan Blvd. 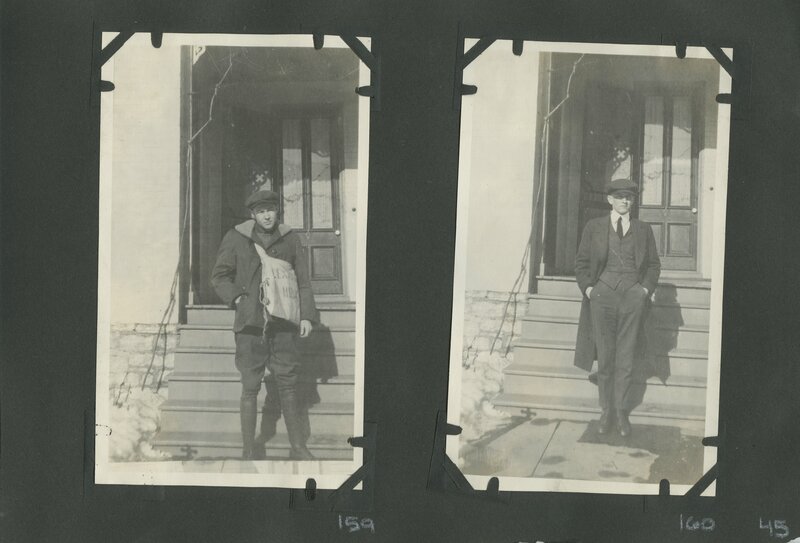 Chicago"
man and a woman standing outside; oval portrait of "W.H. 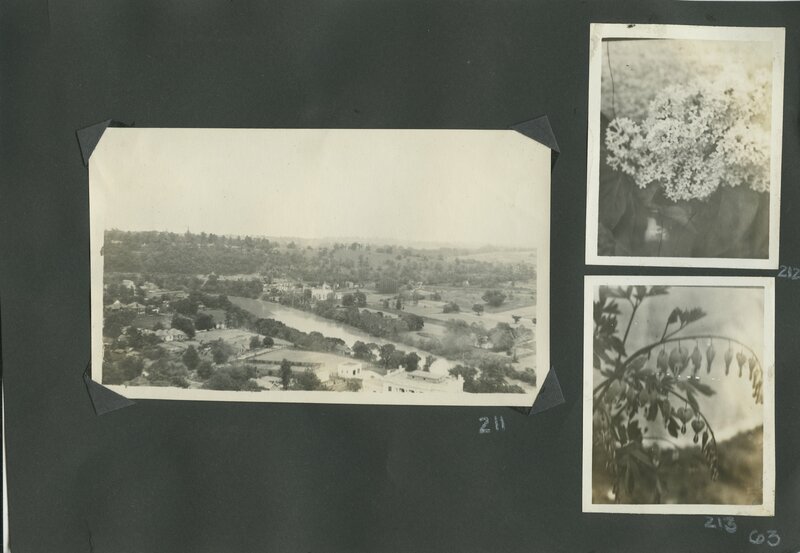 Peal"